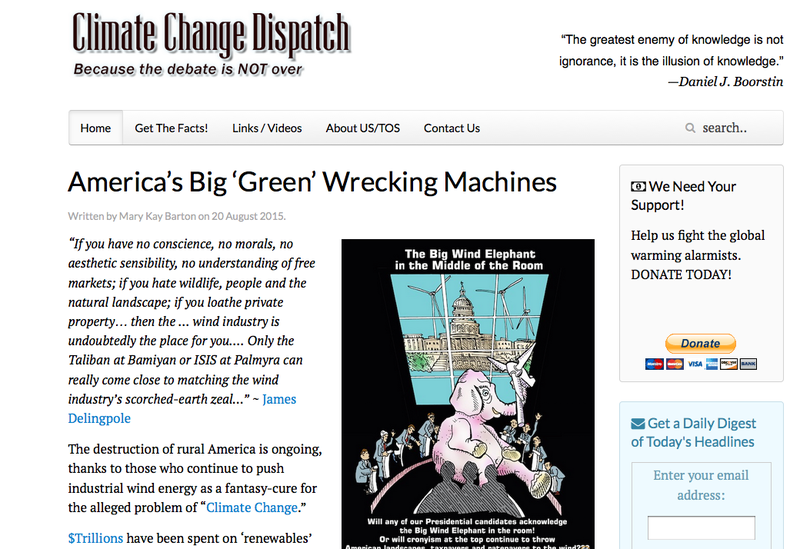 Have you heard the latest insanity on the green energy front? The "world's largest solar plant is applying for a federal grant to pay off their federal loan." Yep, this is the Obama-backed Ivanpah Solar Plant that in 2011, snagged a $1.6 billion stimulus loan –– and now they expect a bailout. Worse is that, according to the Daily Signal, they "just might get it" –– $539 million of free taxpayer cash that is. Just as I was about to retire from my political activism (exposing Green Corruption: The largest, most expensive and deceptive case of crony capitalism in American history), this outrageous development emerged. 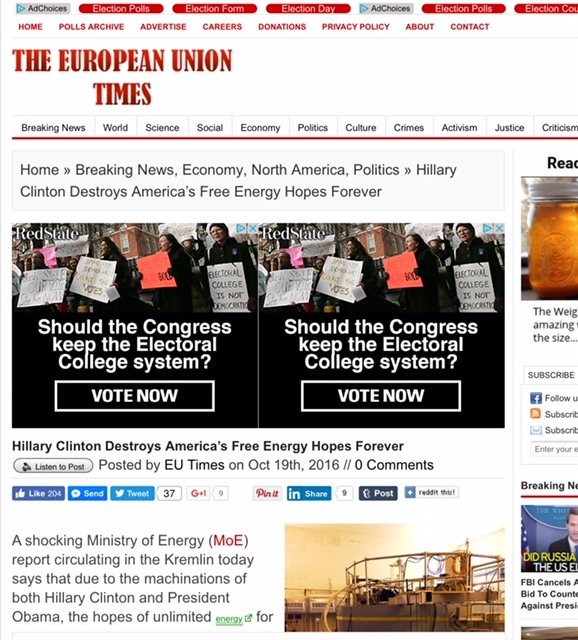 This is a project that I've tracked and written about at least seven times since April 2012, starting with this story that included my then-collaborator Marita Noon: "Shining the Light on BrightSource Energy's $1.6 Billion Shady DOE Deal." This is an attempt by very large cash generating companies that have billions on their balance sheet to get a federal bailout, i.e. a bailout from us - the taxpayer for their pet project..." "It's actually rather obscene." Ivanpah is the largest concentrated solar power plant in the world. It was unveiled in February with great fanfare. Dr. Ernest Moniz, the U.S. Secretary of Energy, justified taxpayers' investment at the time, saying, "We want to be technology leaders. It's good for our economy and it’s also good for helping stimulate the global transition to low carbon." Naturally, Dr. Moniz failed to mention anything about "how the project also functions as an avian death trap." 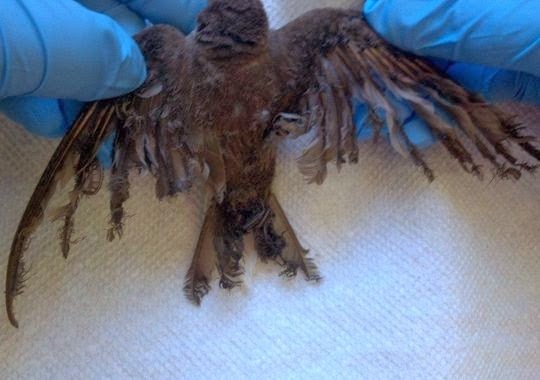 Yep, what green energy advocates and animal activists should know is that Ivanpah has come under fire for their "bird executions and animal cruelty." "Authorities were all aware that birds cannot withstand the furnace-like heat generated by the unprecedented collection of solar panels. 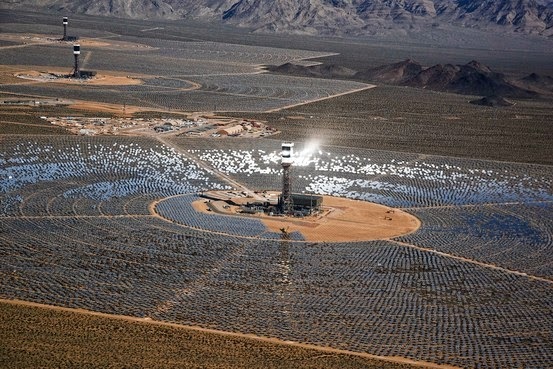 Unfortunately, the 350,000 energy-culling mirrors make the whole think look like a glittering oasis, luring birds to the area, where they are burned to death in the searing heat," wrote The Wire in February, shortly after the Ivanpah Solar plant opened. Meanwhile, BrightSource herald's themselves an environmental heroes because they paid $56 million to protect and relocate scores of desert tortoises. "But, even that has not been enough to avert catastrophe. Animals were crushed under vehicle tires, army ants attacked hatchlings in a makeshift nursery, and other calamities have befallen tortoises made vulnerable by the [Ivanpah] project," explained the Heartland Institute in 2012. Apparently, this $539 million will be doled out via the 1603 stimulus grant program, which "offers renewable energy project developers cash payments in lieu of investment tax credits (ITC)" –– and as of October 15, 2014, has dished out $23 billion of taxpayer money. Nevertheless, the reason NRG is now pleading for free taxpayer cash is because the plant has not lived up to its clean-energy promise, blaming "the weather, saying the sun didn't shine as often as years of studies predicted..."
The Mojave Desert plant, which "kicked off commercial operation at the tail end of December 2013, and for the eight-month period from January through August, its three units generated 254,263 megawatt-hours of electricity, according to U.S. Energy Information Administration data. That’s roughly one-quarter of the annual 1 million-plus megawatt-hours that had been anticipated," wrote BreakingEnergy.com in October. Additionally, we find out via the Cato Institute that the following favoritism occurred: "In February, the company asked DOE for permission to delay payments on its loan. According to the Wall Street Journal, DOE gave Ivanpah a one-year extension on the $132 million first payment..."
"I have never seen anything that I have had to do in my 20 years in the power industry that involved less risk than these projects.” “It is just filling the desert with panels,” he added. 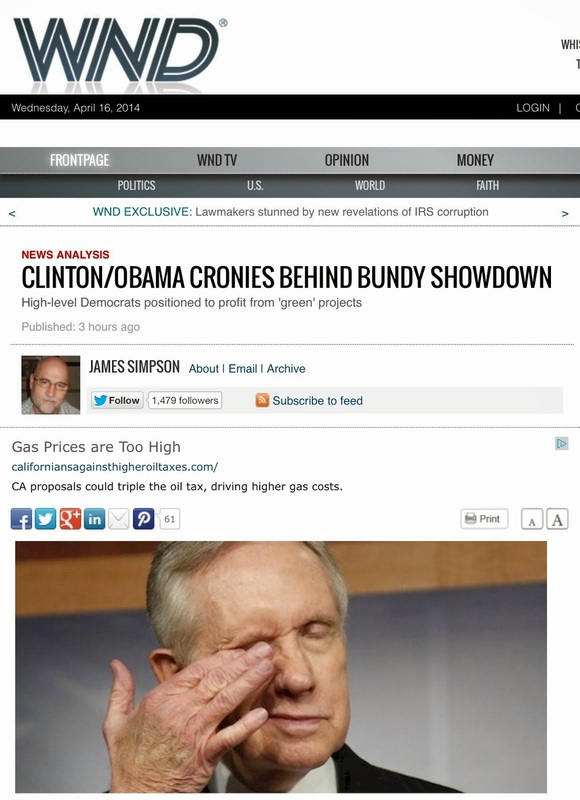 It was the taxpayers that funded the majority of the $2B Ivanpah Solar Plant. And, now they want more government cash to pay off the $1.6 billion government loan –– with most predicting that "the odds of this application being fast-tracked to approval are looking good." 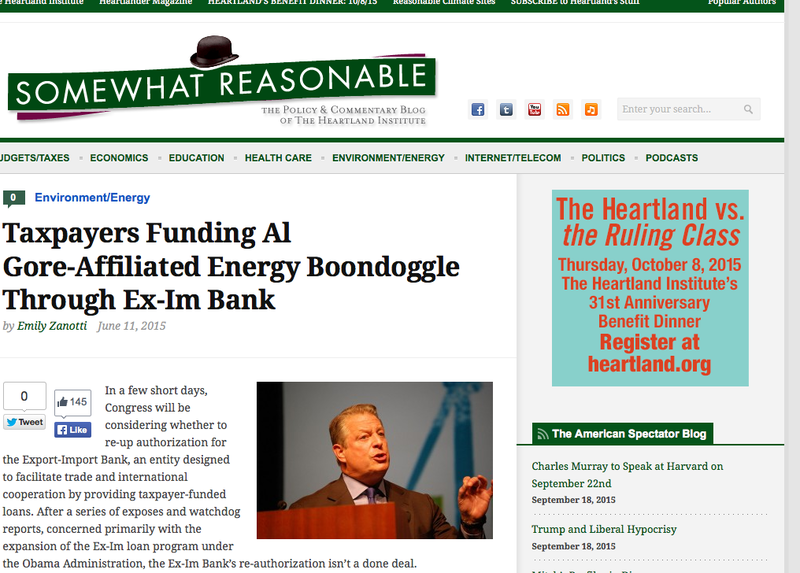 Why would this latest green energy boondoggle get special treatment? 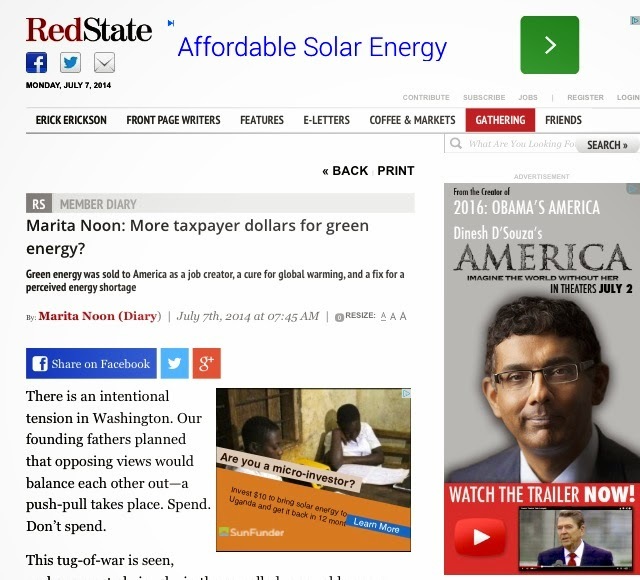 Because as Michelle Malkin points out: "Google execs and employees have been among the most generous Obama supporters in the corporate world..."
What most don't know is that this money grab is not new to the stimulus loans. This is known as "double dipping," where developers (sponsors and investors) of the stimulus-backed projects "gorged themselves on a multi-layered cake of federal, state and local subsidies" –– even to the point where they provided "little skin in the game," leaving taxpayer to foot the risk. ...there seems to be an even more troubling trend of “double dipping” by large companies that received loan guarantees from the DOE program. Many of the companies that have benefited from subsidized loans under the 1705 guarantee program also received additional grants under the American Recovery and Reinvestment Act (ARRA). Still, bailing out a pet project owned by mega companies like NRG Energy, Google and BrightSource Energy is egregious enough. However, what's critical to point out is that the original $1.6 billion was a bailout. Not to mention that, other than Google, there are numerous Obama cronies tied to the initial mega deal. ...that Ivanpah risked being "Solyndra times three" because the sheer scale of the investment was not justified by the amount of energy the new solar project was expected to produce. The level of wasted investment in Ivanpah is three times the amount of wasted tax payer money we gave to Solyndra. 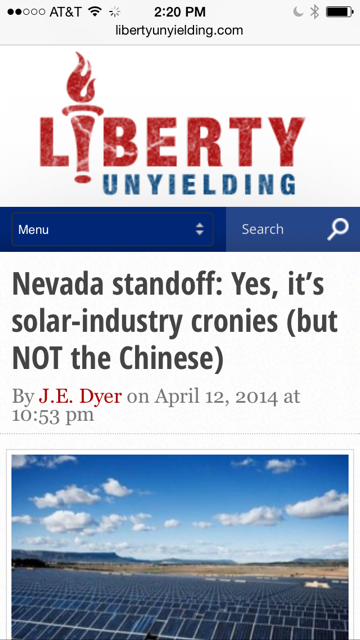 That is why Ivanpah equals Solyndra times three. 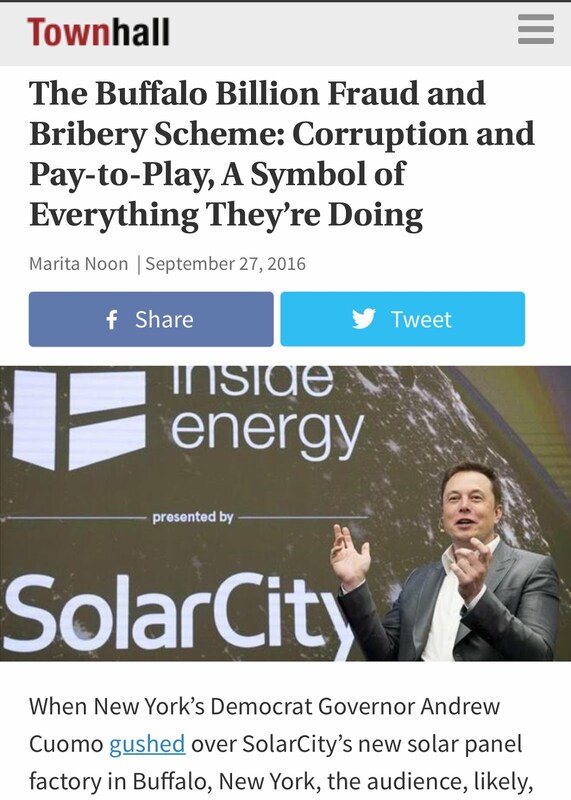 While risk is an important factor in this story, Ivanpah is Solyndra "times three" in other ways as well, which will be addressed in this Green Corruption File. 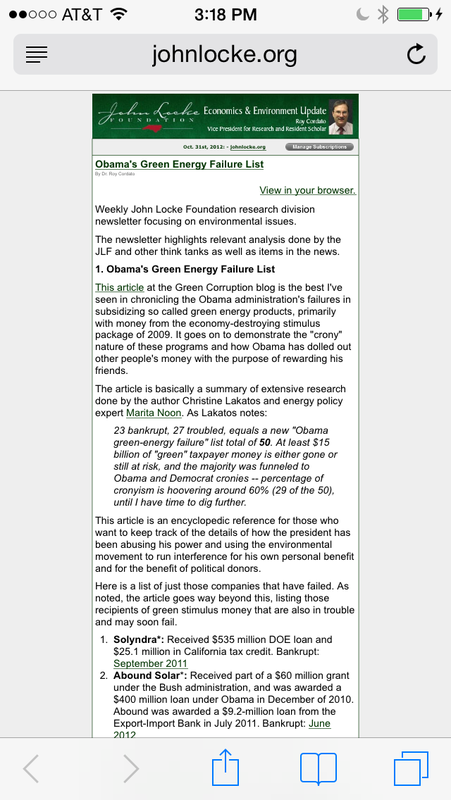 My January 2014 "Cleantech Crash" documents the 32 Obama-backed green energy companies that have already gone under, costing taxpayers over $3 billion. 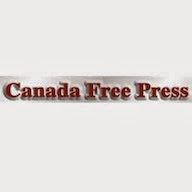 However, there is also the "Troubled Watch List," which was presented in three categories, and included the 22 green energy companies/projects that have been problematic for some time, placing that figure at over $6.7 billion. At that time, there were also five bailouts (half by taxpayers and half by foreign-owned entities), of which American taxpayers have already spent $7.5 billion. This is where you'll find the short version of the BrightSource Energy shady deal, which is how the massive Ivanpah project got funded. 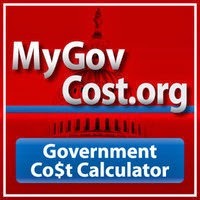 With the Obama administration spending over $150 billion through 2014 to "save the planet," this tally doesn’t factor in the numerous DOE funded projects that are still in the shadows, nor my blistering story on the "law-breaking, American hating" Spanish conglomerate Abengoa, that was subsidized with over $3.6 billion in stimulus loans and grants from the U.S. taxpayer. Also, this total does not calculate the tens of billions spent on other non-stimulus clean-energy deals that I've been tracking, nor the stimulus-created and/or funded programs that also flopped, costing billions more. 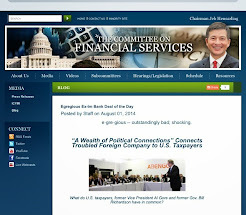 Nevertheless, the BrightSource story does include a significant amount of cronyism, including ties to a slew of President Obama friends as well as Vice President Joe Biden and Senator Harry Reid. 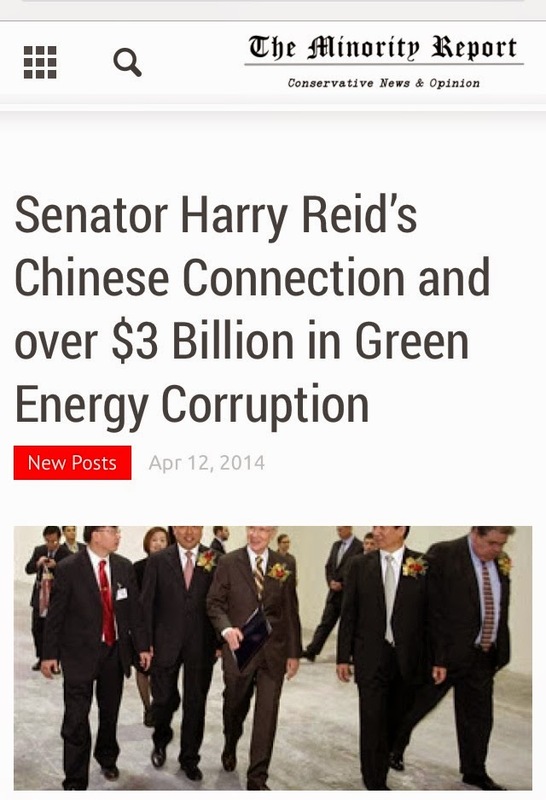 In the case of Reid, there are more details that can found in my Green Corruption File on Reid's clean-energy dirt, which chronicles how the senator from Nevada is directly linked to over $3 billion in green energy stimulus loans, including BrightSource Energy. It doesn’t hurt that some helped craft the 2009-stimulus package –– even as many of the parties involved frequented the White House during the DOE loan review process. All this access and influence, and you’ve got yourself a recipe for guaranteed success –– at least, despite the high risk, in securing the taxpayer cash. Even as this solar plant officially opened in February 2014, what's important to point out is that on February 22, 2010, the original loan was issued to BrightSource Energy –– a solar company that is still a key owner of the Ivanpah Solar Plant –– a massive project that created a whopping 1000 construction and 86 permanent jobs. What transpired in the middle may or may not be relevant, but what is important is that as early as April 2008, BrightSource formed a partnership with (PG&E) when they "entered into a series of contracts... for renewable solar power" –– which included the already planned "100 MW in Ivanpah in California." BrightSource Energy has inked contracts with the Pacific Gas and Electric to sell the utility electricity from solar-thermal power farms with a total of 1.31 gigawatts in capacities. 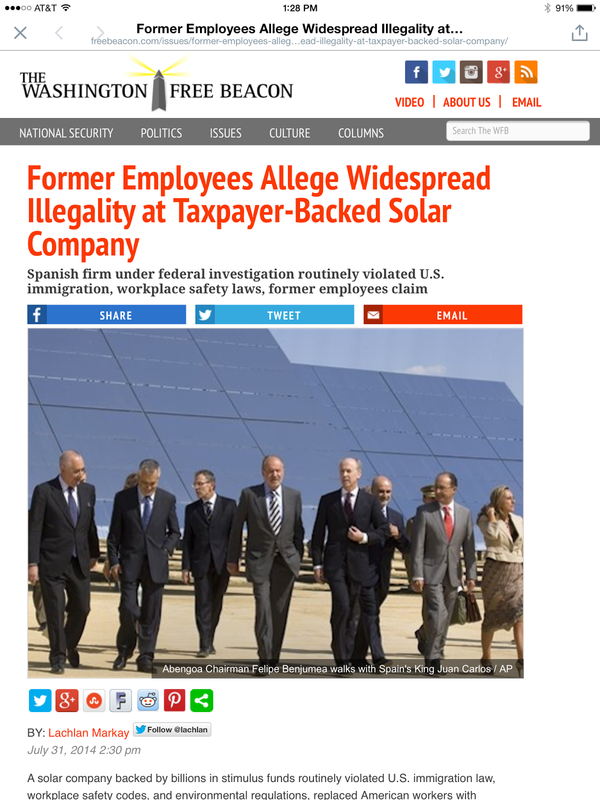 Along the way, this project was one of seven solar and geothermal power companies that "received quick approval and little scrutiny from the Department of Interior to lease federal lands in California and Nevada in no-bid processes," which was exposed by The Washington Free Beacon, yet we covered in our 2012 Special Seven Series. 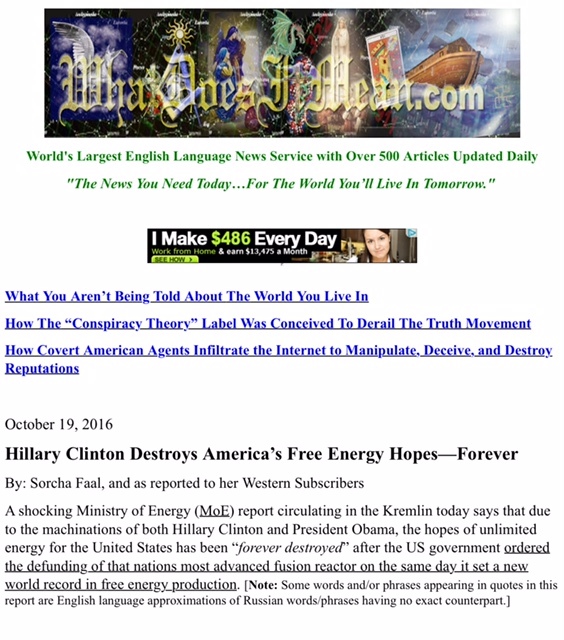 Then sometime in October 2010, during the time of their DOE loan process, "NRG joined with BrightSource Energy as lead investor ($300 million) on the under-construction Ivanpah Solar Electric Generating System in California." Despite the obvious risk, between 2009 and 2011, the DOE doled out $16 billion of taxpayer money to projects that were rushed by the Obama White House for political reasons. However, by October 2013, the DOE closed two defunct stimulus loan guarantees: Prologis that was awarded $1.4 billion for Project Amp and SoloPower Inc for $197 million –– because, as predicted prior to the loans, both ended up failures. Needles to say, we can confirm that virtually all of the winners have meaningful political connections to the president and other high-ranking Democrats and/or their rich cronies –– in many cases to both and in some cases to multiple “friends." In a PowerPoint presentation sent to the DOE in March 2011 and viewed by The Wall Street Journal, BrightSource said its cash position was "precarious" [meaning dangerously likely to fall or collapse] and that it would be a "major embarrassment" for the administration if it went under because the White House had held it up as a centerpiece of its green-energy push. 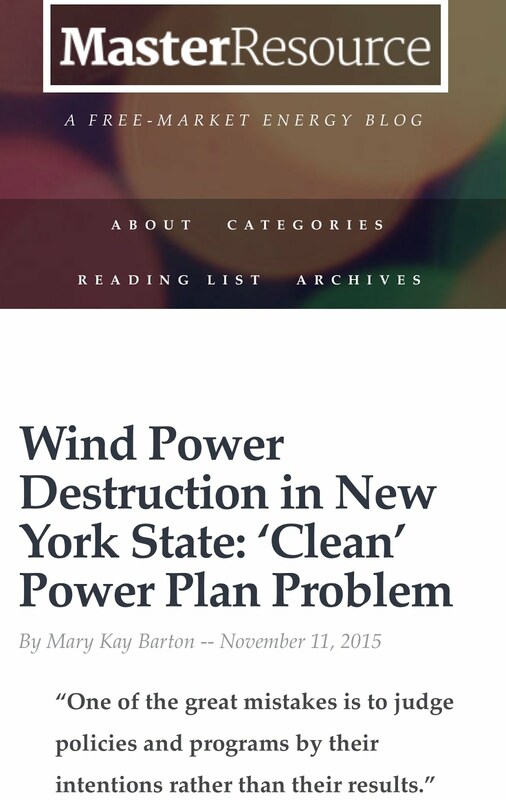 "The DOE will be known as responsible for a very high-profile failure," the message read. Factor in Google, which had made a $10 million equity investment in BrightSource in 2007. 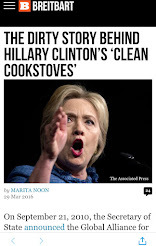 Then on April 11, 2011, the day that the Department of Energy finalized this huge deal, Google announced its largest investment in renewable energy to date: $168 million into the Ivanpah project. In partnership with the DOE, NRG, Bechtel and now Google, we’re building at Ivanpah cost-effective, environmentally friendly and reliable solar power plants. We’re thrilled to work with two of America’s leading utilities – PG&E and Southern California Edison – to provide their customers with clean, reliable and cost-effective solar power at a meaningful scale. Ivanpah is a glowing example of truly sustainable energy—a project that all at once will ensure cleaner air, help in the fight against climate change, drive down the cost of large scale concentrating solar technology and take California one giant step closer toward its goal of producing 33% of its electricity from renewable sources by 2020. But in reality, this 2010/2011 $1.6 billion DOE deal was a bailout, which is a clear violation of the American Recovery and Reinvestment Act of 2009. In fact, other than the Wall Street Journal, Peter Schweizer, in his bombshell book, Throw Them All Out, describing the financial issues they were having, wrote this: "BrightSource badly needed this infusion of taxpayer cash" –– a fact that we elaborated on many times. 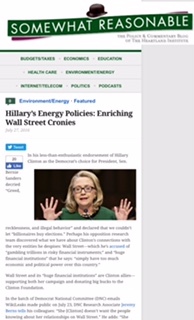 BrightSource Energy has an array of Big Wig investors that happen to be high-powered Obama donors such as Google, Morgan Stanley, and BP Alternative Energy as well as VantagePoint Capital Partners. While Morgan Stanley was a #19 of Obama's top 2008 donors (organizations' PACs, their individual members or employees or owners, and those individuals' immediate families), contributing $528,182 to get the senator from Chicago elected, BP was also a major Obama contributor. According to POLITICO in 2010, "Obama was the biggest recipient of BP cash." On a side note: a while ago, BrightSource partnered with Spain’s Abengoa Solar on the most ambitious solar power tower project yet planned: the controversial two-tower, 500-megawatt Palen Solar Electric Generating System located in California. Abengoa is Spanish conglomerate that has been screwing over American taxpayers, workers and vendors, using the billions of American green energy stimulus funds that they were awarded by the Obama administration –– and all on U.S. soil. A story brought to light by droves of brave whistleblowers, who this year, exposed the rampant corruption inside Spain's Abengoa. In short, since snagging billions of American taxpayer money, Abengoa has intentionally violated American laws, codes and regulations that range across numerous government agencies, while on so many levels demonstrating a blatant disregard for our country and our citizens. "Abengoa is Acquiring BrightSource Energy's Interest in Palen Solar Energy Generating Station Project." Google –– another Big Eco-Hypocrite –– plays the political game well: it's all about access and influence, starting with campaign contributions. Google’s $814,540 contribution to then-Senator Obama’s campaign made it the fifth largest donor in 2008, and in 2012 moved up to the number three spot with a whopping $805,119. Furthermore, Google's CEO at the time, Eric Schmidt, served as an informal advisor to President Obama. Schmidt, Google Executive Chairman, was also an Obama donor in 2008, and since April 2009, is (was) a member of the president's Science and Technology Advisory Council (PCAST). Another Google political connection is Dan Reicher, director of climate and energy initiatives at Google, who was one of the founders of Cleantech and Green Business Leaders for Obama. There are additional interesting folks behind the Google scenes such as John Doerr, who has served as a member of Google's board of directors since May 1999. 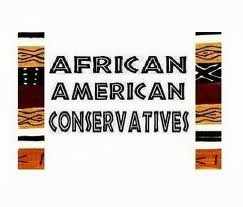 According to Michelle Malkin, "Google co founder Sergey Brin, Chief Legal Officer and Senior Vice President David Drummond, and Google Vice President and Chief Internet Evangelist Vint Cerf are all vocal Obama supporters and top donors." Meanwhile, Google co-founders, Sergey Brin and Larry Page, invested in Tesla Motors that snagged a $465 million Advanced Technology Vehicles Manufacturing (ATVM) loan, which was part of the "favored five" crony green car story we've been tracking as well –– with two going down so far: Fisker Automotive ($529 million) and The Vehicle Production Group LLC ($50 million). Like many of these Big VC's, their "cleantech" investments overlap. 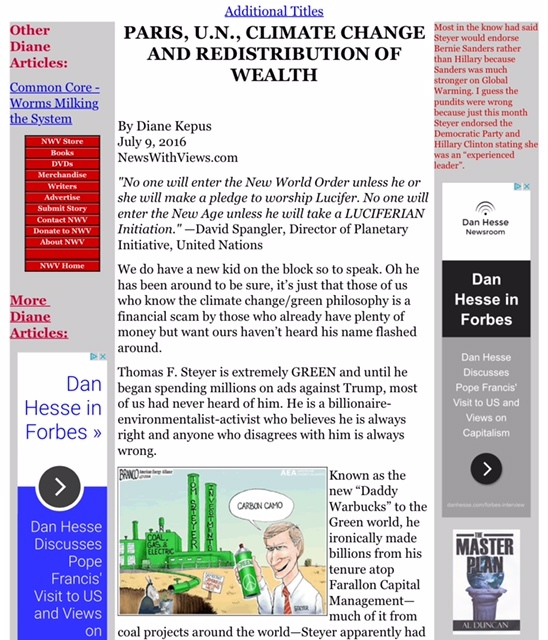 In fact, I briefly touched on Google in my January 2012 Green Corruption File on Al Gore and John Doerr, who is also part of the Google team and a 2009-stimulus author. 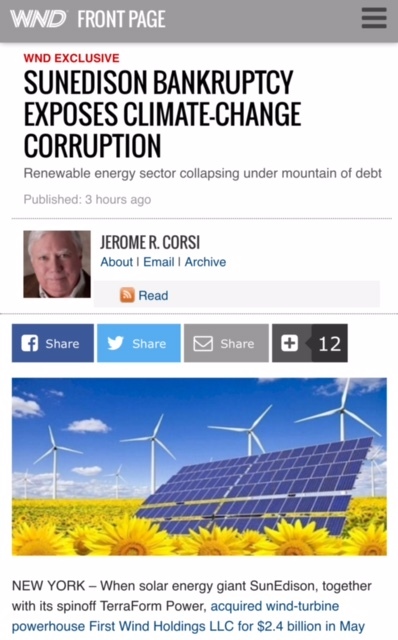 At that time, I revealed that Doerr's Big VC firm Kleiner Perkins, where Gore is also a partner, and along with the Kleiner Perkins collaboration with Gore's London based Generation Investment Management (GIM), they are tied to at least $10 billion of Obama's taxpayer funded green energy spending spree. After some leg work, I discovered that Google Ventures –– via their "Energy Investments" and other "green deals" that I tracked down, as of September 2013, had ten verified stimulus deals (as well as other Obama green funds) in their back pocket, including the BrightSource/Ivanpah project, which placed their investment score at close to $5 billion of taxpayer cash. This figure does not include Silver Spring Networks and their connection to $1.3 billion in smart-grid stimulus grants that I divulged a few times. John Woolard, during the time of the loan review process, was the president and CEO of BrightSource, as well as shareholder in the company. It seems too, that Woolard, from 2005 to 2006, was part of VantagePoint –– another VC firm that will be addressed later. After his role as CEO that began in September 2006, until his resignation in May 2013, he briefly served as a director at BrightSource. And check this out, according to his Linked-In page, since July 2014, he has been Vice President at Google –– meaning Woolard still has a hand in this deal. 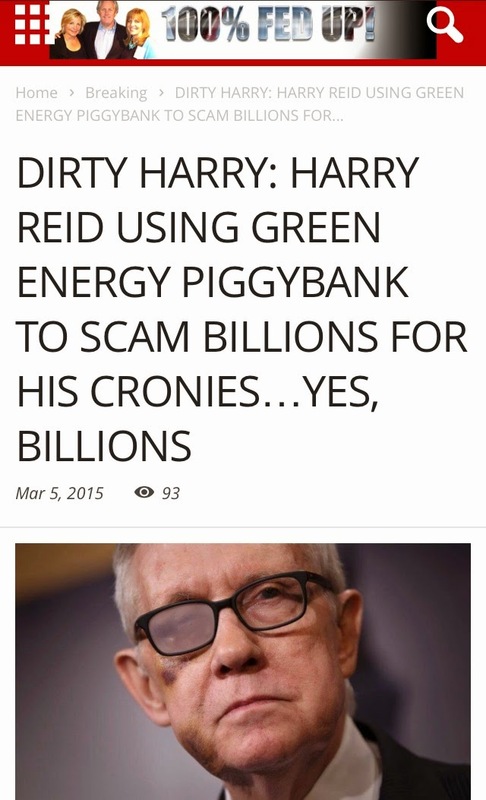 A while ago, the Washington Free Beacon reported that "Senator Harry Reid received almost $4,000 from BrightSource executives in the 2010 cycle, including $2,400 from then-CEO John Woolard. 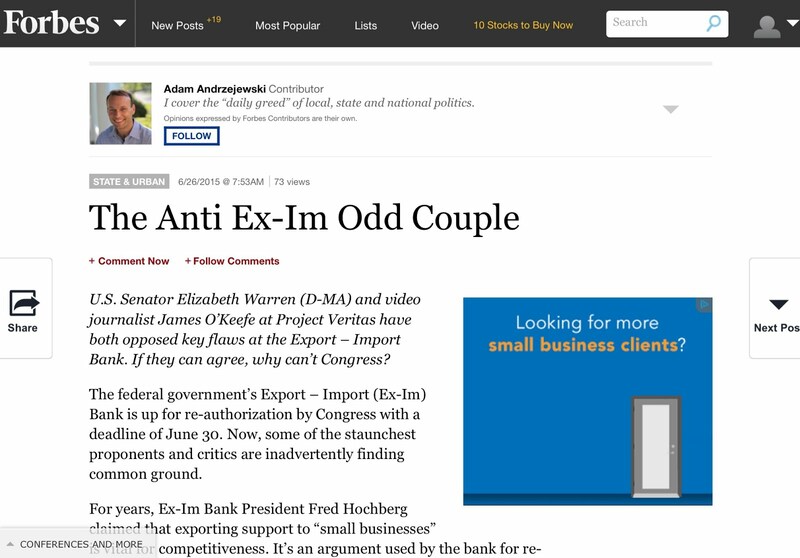 Also, in August 2010, Woolard, and then-chairman of PG&E Corporation, Peter Darbee hosted a breakfast fundraiser for Senator Reid in the Oakland offices of BrightSource Energy. Still, Woolard was not only a Reid fundraiser, but also an Obama donor that has visited the White House dozens of times since this president took office. 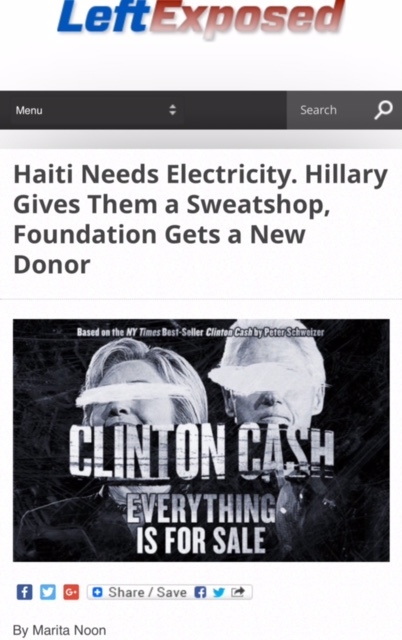 What's directly relevant is that the firm was part of an intense push in 2011 that involved meaningful Democrat connections –– donors, investors, and stakeholders –– as well as correspondences with President Obama, the White House and DOE Officials. These particular emails reveal communications between Woolard and Matt Rogers and between Woolard and Jonathan Silver. In case you haven't been following my work, Matt Rogers, from January 2009 until September 2010, served as Senior Advisor to Energy Secretary Steven Chu. Rogers oversaw the disbursement of tens of billions of dollars in stimulus funds for renewable energy projects. Meanwhile, Jonathan Silver served as the Director of the Loans Programs Office at the DOE from November 2009 to early October 2011. 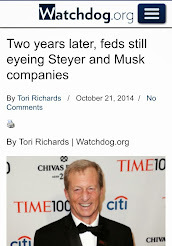 Besides powerful roles inside the Energy Department, both Rogers and Silvers have interesting connections, of which we've profiled many times –– even recently in chronicling the entire Solyndra Saga, which was unleashed late last month. The January 2010 EMAIL is where John Woolard (as mentioned above, who was then the CEO of BrightSource), told the DOE of Obama's involvement when he was pushing for a conditional commitment. Yep, because the “stakeholder” here is Peter Darbee, then-CEO and chairman of PG&E –– and PG&E, remember, had developed a 2008 partnership with BrightSource. Further, when the "three-plant Ivanpah Solar Complex" was moving forward, it was also announced that, "Electricity from the project will be sold under long-term power purchase agreements with Pacific Gas & Electric and Southern California Edison Company (SCE)." What you need to understand is that PG&E, a strong Obama and Democrat donor, is all over this clean-energy scheme. They are jammed-packed with Washington "cronies," including Cathy Zoi, who is the "most controversial former PG&E employee to hold an influential government." 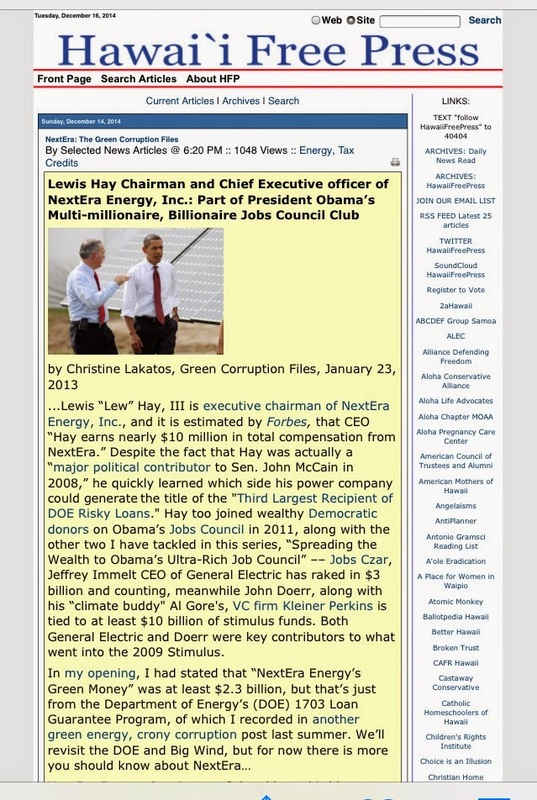 Zoi, an Al Gore acolyte, who was a DOE Insider from 2009 until 2011, is directly tied to many green corruption deals that have been addressed in various files. Moreover, as reported by the Washington Free Beacon a while back, "PG&E has become an aggressive buyer of power supplied by solar, wind, and other renewable sources, in large part due to statutory requirements under California’s Renewable Portfolio Standard, which mandated that 20 percent of the utility’s electricity come from renewable sources by 2010 — and 33 percent by 2020." Considering that this mega electric firm has high-powered connections all the way up to the president as well as inside the DOE, PG&E won a significant amount of stimulus money for various projects, but more relevant to this case is that PG&E has an invested interest in seven of the Energy Department stimulus loans, totaling over $7.6 billion of taxpayer money. 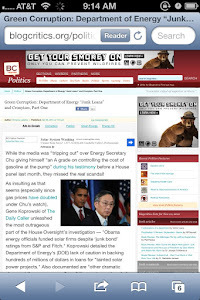 PG&E is also a major player inside “Smart Gird, Dirty Devices," which exposes their partnership with Silver Spring Networks on many fronts (PG&E is their top customer) –– the lucky smart-grid technology company who has an array of White House connections –– Foundation Capital, Kleiner Perkins and Google –– of which, as of January 2013, I found that Silver Spring is linked to at least $1.3 billion in smart-grid stimulus grants. Since PG&E became an energy client of the top DC lobbyists, McBee Consulting, in 2011, they are also profiled in my September 2013 Green Corruption File. In case you don't know John Bryson, let me shed some light on this man. Bryson was BrightSource's chairman of the board prior to his appointment as Secretary of Commerce with the Obama White House in May 2011 –– just a month after the loan was approved. Although Bryson officially began his"commerce post" in October 2011, he resigned in June 2012 following a series of mysterious auto accidents. 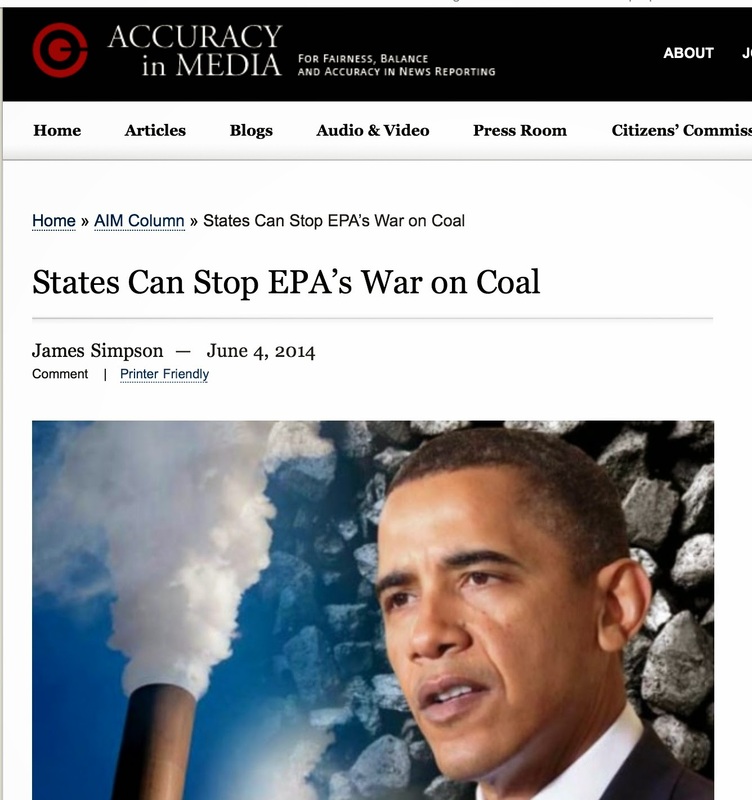 Bryson also has ties to the left-wing radical organization the Apollo Alliance via an environmental activist group, the Natural Resources Defense Council, which he co-founded. There is also the fact that in June 2011, Aaron Klein of World Net Daily, reported that "Bryson is co-chair of the Pacific Council on International Policy, a globalist organization whose members can be found throughout the Obama administration." 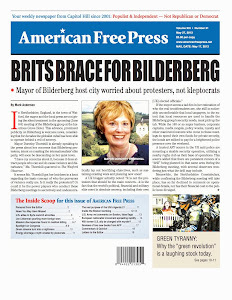 While Apollo and the Natural Resources Defense Council have funding connections to the politically powerful left-wing billionaire George Soros, what interesting to point out is that both Apollo and Soros helped craft the 2009-stimulus package –– a trillion-dollar influx of taxpayer cash that eventually bailed out BrightSource. 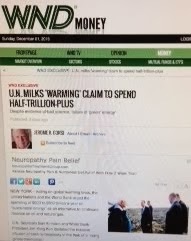 And, Soros is also connected to the Ivanpah project via another avenue that will be tackled later in this post. During the July 18, 2012 Oversight Hearing regarding Obama’s green energy failures, Silver acknowledged that he had known Mr. Bryson for many years, and also admitted to making a few "modest edits" to this particular email asking for White House intervention, which, apparently came from his private email account. More astonishing is that during the course of that same "Oversight Hearing," it was revealed that Silver and others inside the DOE, had a “habit” of using personal email accounts to conduct DOE business, which clearly violates at least the “spirit” of the Federal Records Act of 1950 as well as hampers any type of transparency and accountability. Even so, others will give the credit to Bernie Toon, who served then-Senator Joe Biden as his Chief of Staff, and became a lobbyist for BrightSource on March 6, 2011. According to the Wall Street Journal, “BrightSource spent more than $500,000 on lobbying in the third quarter of 2010 through the second quarter of 2011” –– and $40,000 of the lobbying money went to Toon. The Journal also noted the following: "Mr. Toon was hired because he had previously lobbied for BrightSource contractor Bechtel Corp. [profiled a bit later] and was familiar with the project..."
While Toon's contract ended shortly thereafter, April 6, 2011, the BrightSource loan was finalized on April 11, 2011. However, the BrightSource push started as early as September 2009, which involved the top DC lobbyists McBee Strategic Consulting –– as reflected in the House Oversight leaked EMAILS that were unleashed late October 2012. 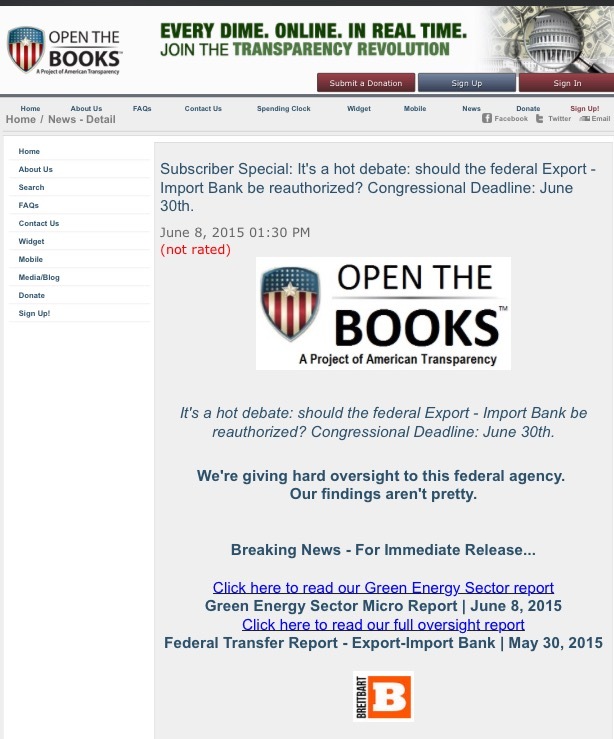 By the way, these emails are a treasure trove of "DOE Intel" that we have been revealing since their release that not only confirm corruption and deceit inside the DOE, but they implicate more BrightSource executives and stakeholders, DOE officials as well as Obama’s Green Team and several in Congress from the Democrat side were "in on" the $1.6 billion shady deal. 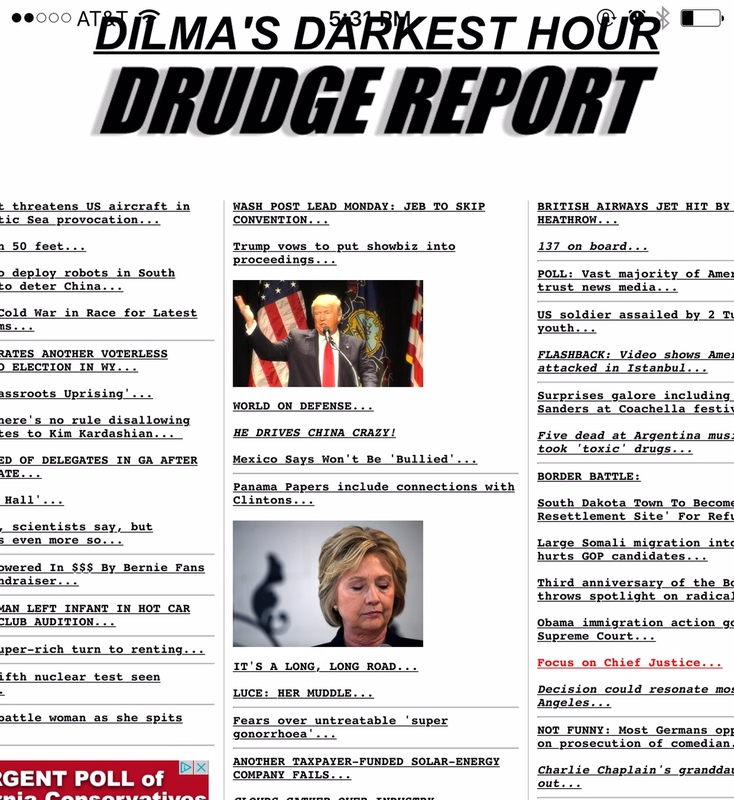 Stay tuned, because that evidence will be exposed in this Green Corruption File under the section entitled, Inside the BrightSource, DOE Incriminating Emails: Access & Influence. But for now, I need to lay down some more groundwork. VantagePoint is a huge VC firm, where we find DOE Insider Sanjay Wagle, who prior to arriving in Washington was a principal at this firm. From June 2009 to November 2011, Wagle served as Renewable Energy Advisor to the Energy Department, under then-Energy Secretary Chu. His UC Berkeley bio, states: "At DOE, Sanjay served in the Office of the Secretary of Energy helping to oversee implementation of $11 billion in programs for clean energy. Sanjay also served as Associate Director for Commercialization at the Advanced Research Projects Agency – Energy (ARPA-E), the newly created agency funding high-risk, high reward energy technologies." 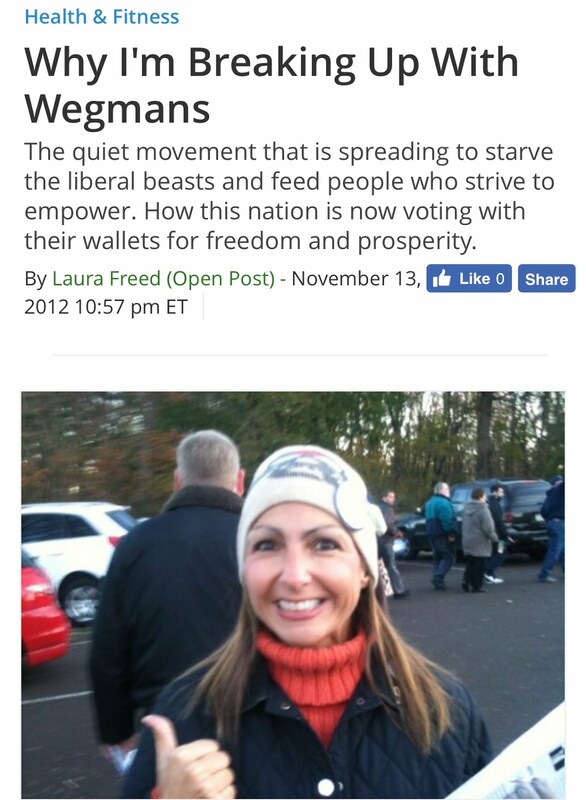 Wagle was an Obama fundraiser in 2008; rallying support through a group he headed known as Clean Tech for Obama. 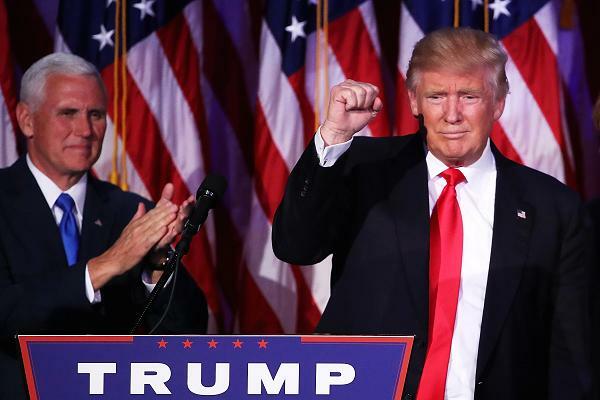 According to the Washington Post, "Shortly after Obama’s  election, he left his California firm to join the Energy Department, just as the administration embarked on a massive program to stimulate the economy with federal investments in clean-technology firms." 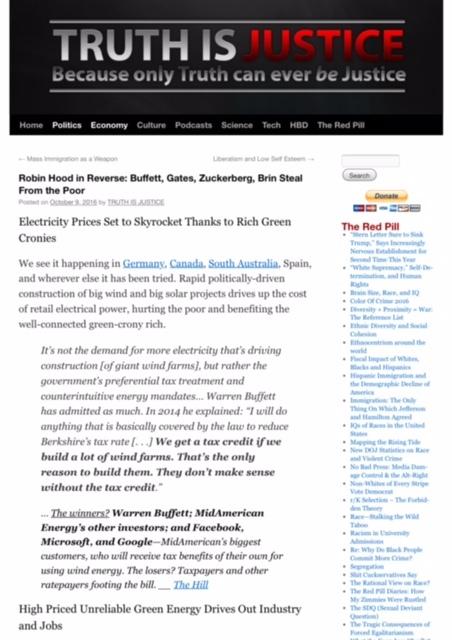 While some greentech defenders, claim that "Wagle gave up any interests in VantagePoint and the companies it invested in before joining the DOE," we do know that Wagle, on September 22, 2009, was part of Valerie Jarrett's "CLEAN ENERGY SUMMIT" held at the White House, whereas it was reported that "attendees struck gold, cashing in on $5.3 billion in taxpayer funds from the Obama administration." This data was dated June 5, 2012, and is a collective tally. But my research, dated September 2013, proves that VantagePoint did "strike gold." 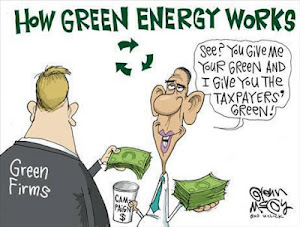 At least nine clean-energy firms/projects listed on their CLEANTECH PORTFOLIO, which includes the BrightSource deal and two other DOE loans, came out winners in the 2009 "green" stimulus spending spree, placing their total, at that time, at about $3 billion of taxpayer money. Besides Wagle, there are two additional VantagePoint players worthy of exposure, because they are found inside the wheeling and dealing that went on behind closed doors. 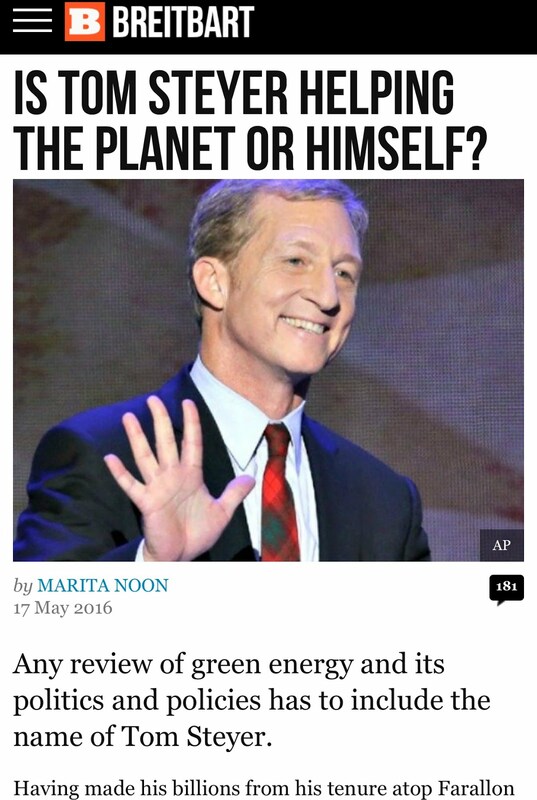 First is one of climate change’s loudest activists, who "wants a law to punish global warming skeptics," but is just another loud liberal who refuses to change his Eco-lifestyle –– which is code for hypocrite. Known as “Bobby K," Mr. Kennedy is more than an Eco-fascists, he has been and continues to be a Partner and Senior Advisor at VantagePoint, and was directly implicated in the BrightSource Energy $1.6 billion shady DOE deal via internal Energy Department emails as well as via his VC Firm, which I'll get to later. The other is Steve McBee, who is the founder and CEO of McBee Strategic Consulting –– and also a Senior Advisor at VantagePoint. From what I gather, McBee has been lobbying on VantagePoint's behalf since 2009. However, McBee has additional green energy clients that are also part of the Ivanpah $1.6 billion DOE deal: BrightSource Energy from 2009 to 2012; Google hired McBee Consulting sometime in 2009; and PG&E hired McBee Consulting in 2011. 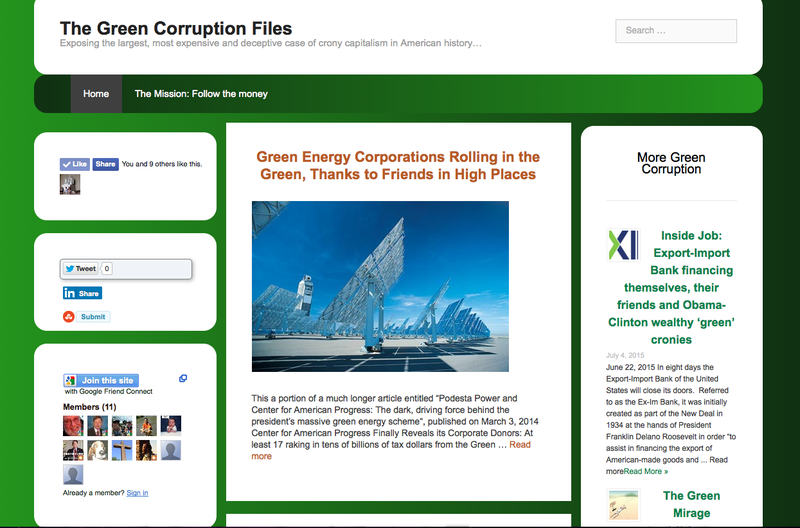 Due to Steve McBee's significant role in shaping the Energy Department loan structure, as well as ensuring that the Ivanpah project secured the DOE money, I thoroughly analyzed his firm in my September 2013 Green Corruption File: Top D.C. 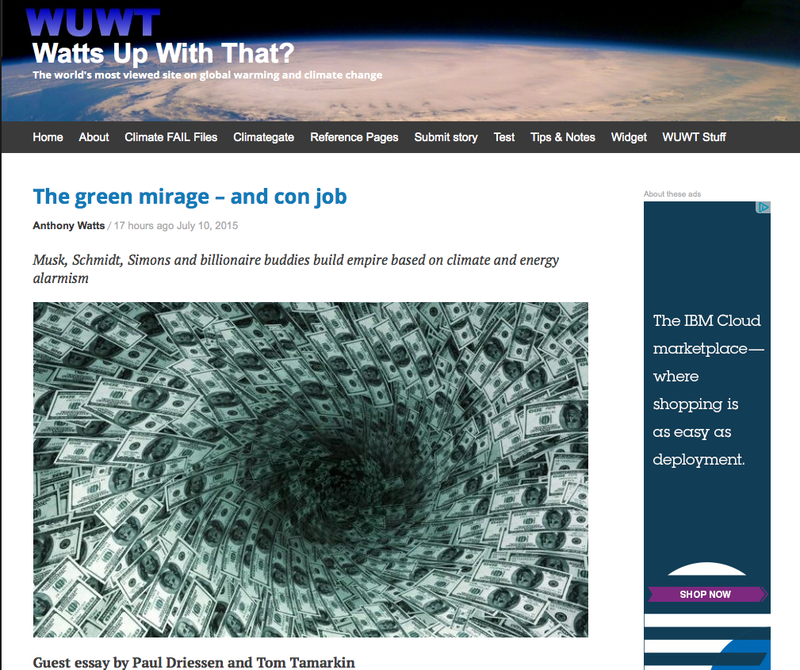 Lobbyist McBee Strategic Consulting “opened the spigot of green corporate welfare;” then billions of stimulus cash flooded the firm’s energy clients. In short: Since 2002, McBee Strategic Consulting has financially supported both sides of the political isle, with a huge increase in campaign contributions in the 2008, 2010 and 2012 cycles. 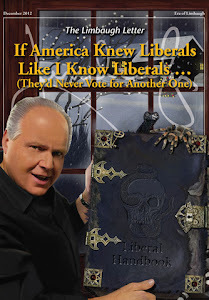 However they have given predominately, and more significantly to Democrats. 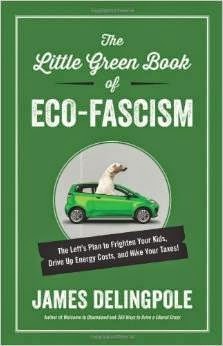 K Street is the epicenter of this green-industrial complex, and ground zero might be the firm founded by Democratic revolving-door earmark lobbyist Steve McBee, who reportedly wrote key provisions in the stimulus bill to open the spigot of green corporate welfare. With McBee's former boss being a senior Democrat on the House Appropriations Committee, McBee Strategic used to be an earmark factory. After Obama's election, though, McBee pivoted to green energy and saw revenues soar in 2009. Yes indeed, revenues for McBee soared, which as documented by Center for Responsive Politics –– not all from clean-energy, but plenty of dirt to share–– it seems that McBee Strategic Consulting total lobbying income went from just under $5 million in 2005, then doubled to just over $11 million in 2009, and it peaked in 2010 and 2011, topping $13 and $12.8 million each of those years. And, they continue to spend big bucks on lobbying. Nevertheless, my research reflects 31 McBee energy clients with 19 (over 60 percent) that received green-government subsidies under the Obama administration, totaling approximately $13.7 billion of taxpayer money, which includes the $1.6 billion BrightSource deal. Additionally, with only two clients (Honeywell and Tesla) that were hired prior to 2009, when the Recovery Act was approved, I calculated that from these 31 energy clients, McBee Strategic Consulting "green kickbacks," as of September 2013, were close to $9 million. As noted, one of those clients was BrightSource, which retained McBee from 2009 until 2012, making way more money than Bernie Toon: $40k vs. $480k. 2007: Google made a $10 million equity investment in BrightSource. Prior to September 2009: Obviously, BrightSource had submitted an application at least this early, which is reflected inside DOE internal emails. 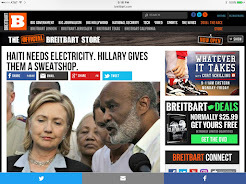 Sometime in October 2010, during the time of their DOE loan process, "NRG joined with BrightSource Energy as lead investor ($300 million) on the under-construction Ivanpah Solar Electric Generating System in California." December 7, 2010: NRG chief executive David Crane met with White House official Valerie Jarrett in the West Wing. On January 25, 2011, Fitch had rated the BrightSource deal "speculative" at best. In March 2011, it is well documented that the DOE was well aware BrightSource was suffering with major financial issues. 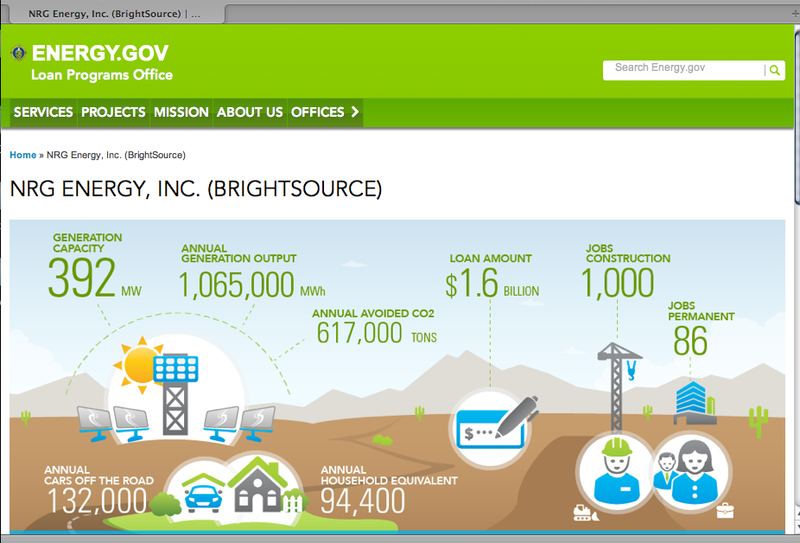 April 11, 2011, (some say April 6th) the $1.6 billion Department of Energy loan was finalized, which enabled "BrightSource Energy and its partners—NRG and Google—to build the world’s largest solar thermal facility." 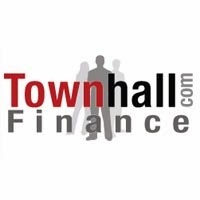 April 11, 2011, the day that the Department of Energy finalized this huge deal, Google announced its largest investment in renewable energy to date: $168 million into the Ivanpah project. Sanjay –– I need to send a note to Matt R and Secretary about our situation and my only email for Dr Chu is old lbnl address. Can you please send his new email? 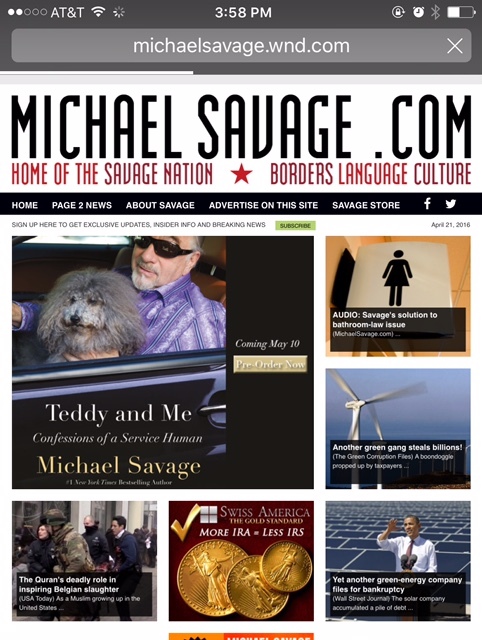 NOTE: "Matt R" is Matt Rogers, the DOE Advisor, and Sanjay Wagle is the DOE Insider, big Obama supporter, who prior to arriving in Washington was a principal at VantagePoint –– both profiled earlier. 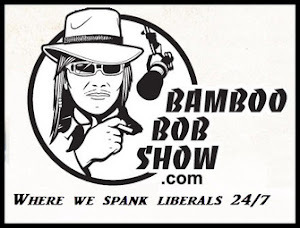 Call Bobby when you have a moment. He spoke with Carol Browner, who spoke with DOE and DOE promised a call back to you/BSE within 24 hours. He also spoke with Ed Markey. Wants you to call him so he can brief you. Great - when should we move our McBee call to? “Bobby K” is Robert F. Kennedy Jr., who is a partner and Senior Adviser at VantagePoint, profiled earlier. Carol Browner, a 2008 Obama bundler, was a member of the Obama-Biden Transition Team that heavily influenced the 2009 Recovery Act, amongst other key Obama legislation. 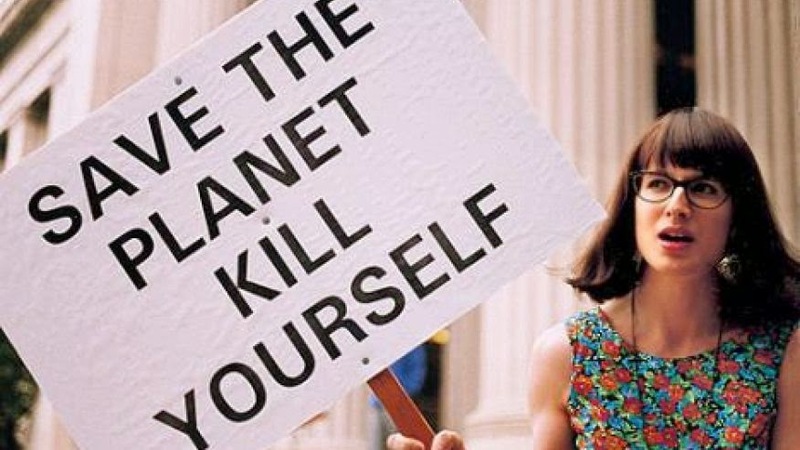 Browner, who directed the Environmental Protection Agency (EPA) during the Clinton administration, is an Al Gore acolyte, as well as an environmental extremist with a few left-wing radical ties on her secret resume. 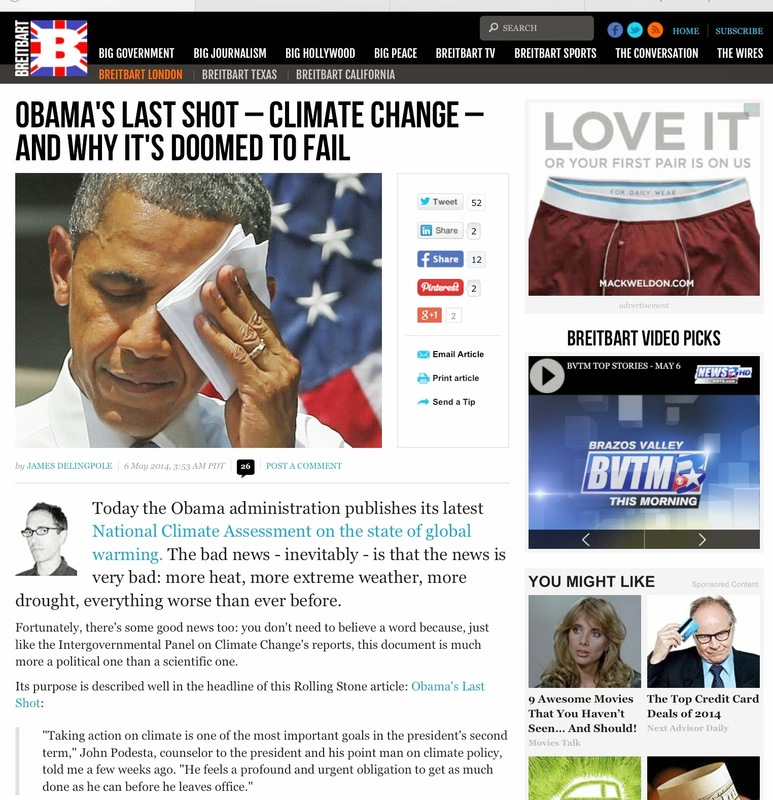 Later Browner became part of Obama's 2009 Green Team as the Climate Czar, and was part of the decision-making process with the Energy Department loan program –– only to abruptly resign in early 2011. Prior to her tenure at the Obama White House, Browner was a founding board member (from 2003-2008) for CAP, where she currently sits as a Distinguished Senior Fellow. 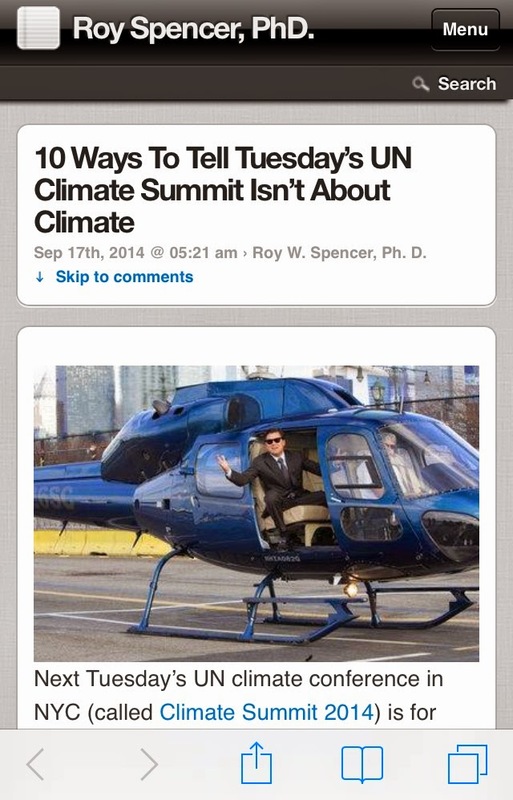 Ed Markey, the Democrat Senator for Massachusetts, is another climate change crusader. 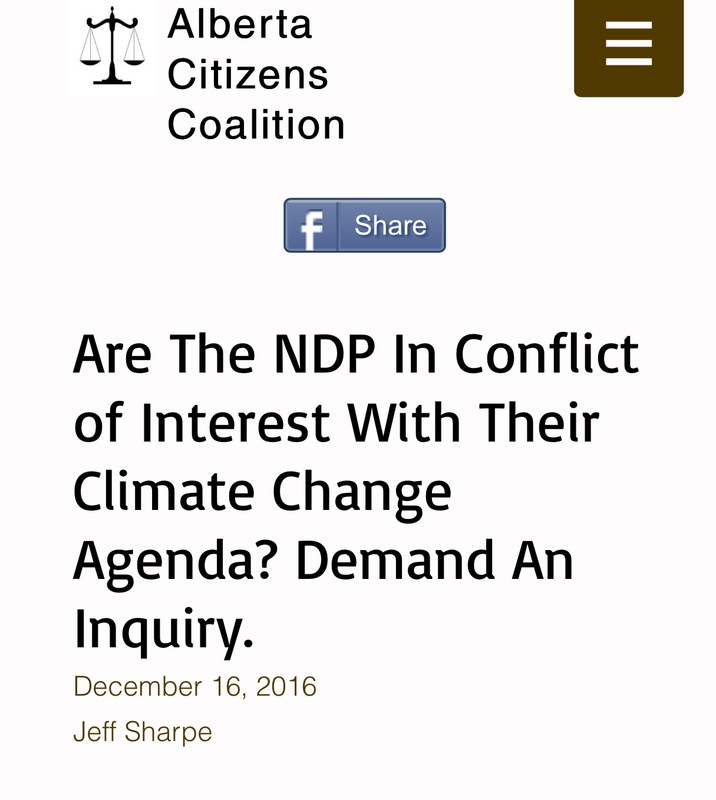 From 2007-2010 he served as Chair of the Select Committee on Energy Independence and Global Warming, and he was also the co-sponsor of the failed 2009 cap-and-trade bill. In 2013, Markey also introduced a bill that would force people nationwide to buy green energy: The American Renewable Energy and Efficiency Act, of which, from what I gather, was referred to committee in July of this year. When Rep. Markey began his mission to fill Secretary of State John Kerry’s Senate seat, he was endorsed by many green groups, and according to the Daily Caller, his “2013 Senate campaign received large amounts of funding from environmental groups” –– and Markey is connected to the new DOE deal that I wrote about in August: Another Taxpayer-funded ‘Green’ Gamble: Energy Department doles out $150 million to Cape Wind’s expensive, risky offshore wind project tied to high-profile Democrats. 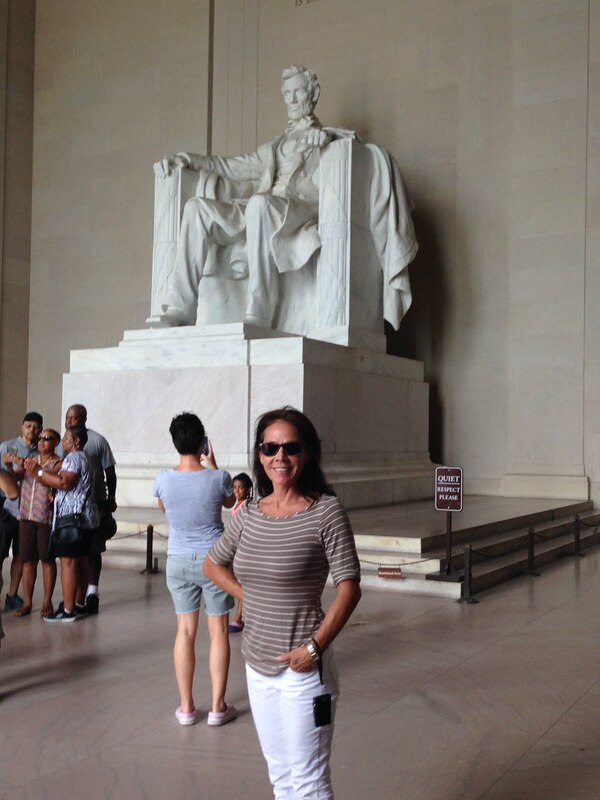 Inside the 350+ page Appendix II, there is ongoing interaction and pressure from the heavy weight K Street firm McBee Strategic Consulting, profiled above. DOE is another story. We are hearing that despite a strong push by Silver, Spinner, Rogers and others internally, the process is getting sideways by any number of bureaucratic hold ups and there is now real potential for consideration of the project to slip until next year. 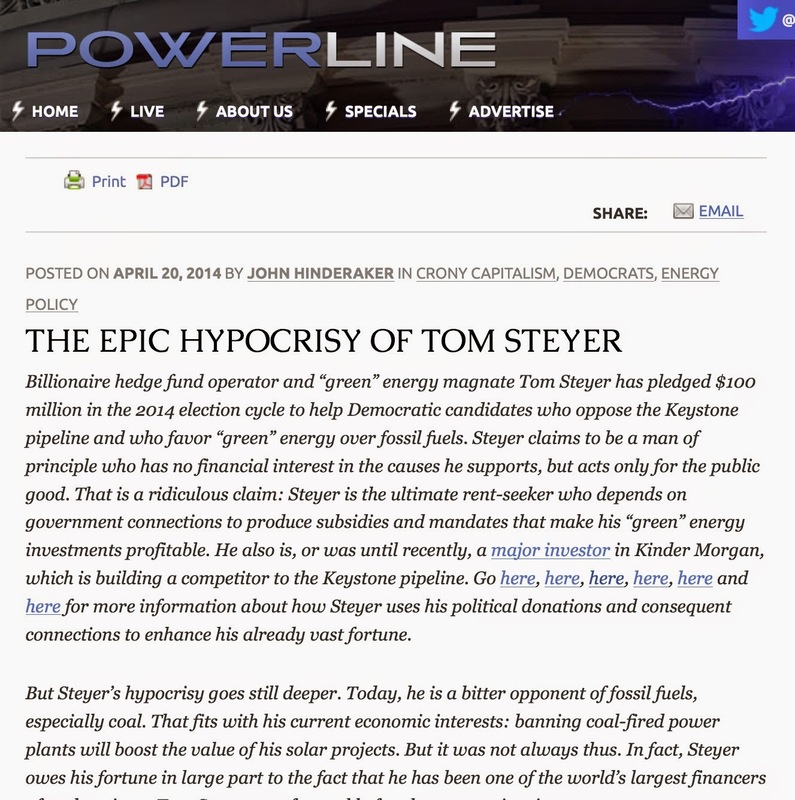 NOTE: We've establish the roles of Silver and Rogers in this post, but in case you haven't been following this green energy scam, Steve Spinner is key: he was the Department of Energy Loan Programs Advisor, from April 2009 to September 2010. 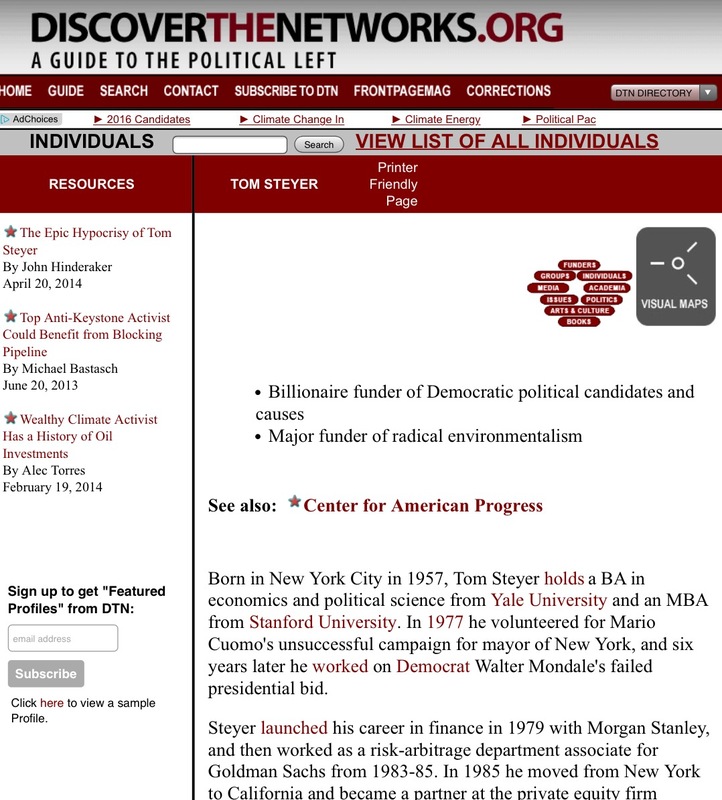 Spinner was also handpicked to make a cameo appearance at the 2012 Democratic National Convention, along with other wealthy Obama green cronies: Steve Westly, Tom Steyer, and Jim Rogers. And while in April 2009, Spinner was appointed as the DOE Loan Programs Advisor to then-Energy Secretary Steven Chu, by September 2010, he left the DOE and about that same time joined CAP as a Senior Fellow until October 2011. The next paragraph, Steve McBee undermines the "integrity of the Loan Guarantee Program, and then writes that if the project slips to 2011, that there is a strong likelihood that the project will be “redeployed to China..."
ANYTHING you guys would be willing to do with DOE in terms of moving the process would be deeply appreciated. It seems that 2010 was a busy year for the BrightSource players, because other than the January 2010 Woolard/Rogers email to get Jonathon Silver’s assistance, as well as Peter Darbee’s meeting with President Obama divulged much earlier, there were more. “stuck in bureaucracy” and that "Peter should drive the point home”...you could let him [Chu] know that if it not approved we would likely move to build projects in China as it will be the final signal that the US is dysfunctional… "
Thanks in advance if there is any way you can help move this forward. Bechtel and Brightsource are in a detailed project review and are ready to move this project forward. Regards, John. ...without the doe loan guarantee pge is at risk for losing entire commitment and CA is at risk for RPS requirements. 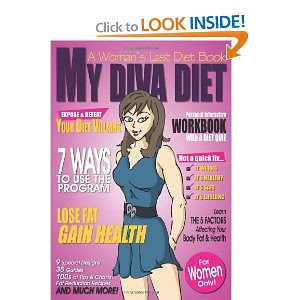 Needless to say, about a month prior to the April 2011 approval, additional correspondences took place between March 5 and March 10, 2011. Once Bernie Toon inculcated (shortly), you guys need to fold him in to the arguments, roles and get him the litigation and other info. NOTE: Bernie Toon is the former Chief of Staff then-Senator Joe Biden, profiled much earlier. Toon is the lobbyist that from March 6, 2011 until April 6, 2011, BrightSource had secured (via FIRST Group). 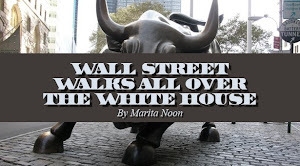 Furthermore, with this email dated March 5, 2011, Toon's part as well as these correspondence seem to coincide with those two March 2011 White House visits highlighted much earlier that was reported by The Wall Street Journal: March 9 and March 15 –– maybe even the next email exchange. Yes, it can be organized and having JW suggest it is a perfect avenue. Key is whether DOE wants a big splash to tamp down the downward pressure as a result of the IG report and solyndra or they want to just churn these out with much less fanfare. John can further reference the Hill meetings/conversations we have been having and note to Silver that there is interest from senior leaders on the Hill to take a victory lap along with the WH on this and have a collective talking point for both Obama and the entire Administration to use in the midst of the unrest in Libya and need for further demonstration of domestic power. ...we MUST CLOSE by the 18th…this is the miss-messaging that people get confused about and I find myself having to explain away the differences and sensitivities here to timing and what issues impact the various dates (running out of money vs. govt shut down and loss of appropriations). In the middle of all the pruning and prodding (mostly in early 2011, emails prove), there was plenty of fraternizing going on, starting with then BrightSource CEO Woolard biking and having sleepovers with Mr. Silver. We also see that Silver was hosting a party for John Bryson. Also, David Crane, the CEO of NRG Energy (up next), was sending invitations to Woolard and Bryson to a fundraising dinner at his home that included Louisiana Senator Mary Landrieu. But Bryson declined Crane’s invite only due to the fact that it conflicted with a dinner he was having with Ted Craver and California Senator, Diane Feinstein. There you have it: Despite the fact that during the loan review process, BrightSource Energy was bleeding money; they were obviously desperate for the cash; and their huge solar project loan was rated "speculative" at best, it didn’t sway the DOE in the least, because on April 11, 2011, the DOE announced the finalization of $1.6 billion in loan guarantees. 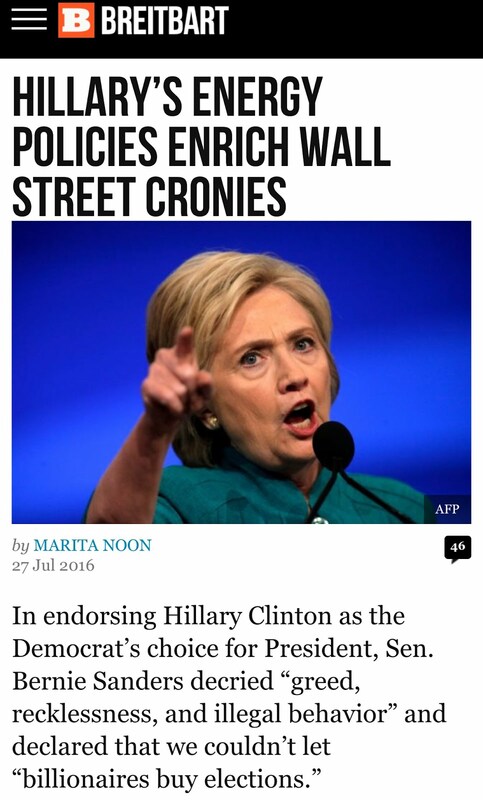 Yep, this crony deal was made available by the 2009-Recovery Act, which was sold to the American people as means to save our economy from the brink of disaster and create American jobs. 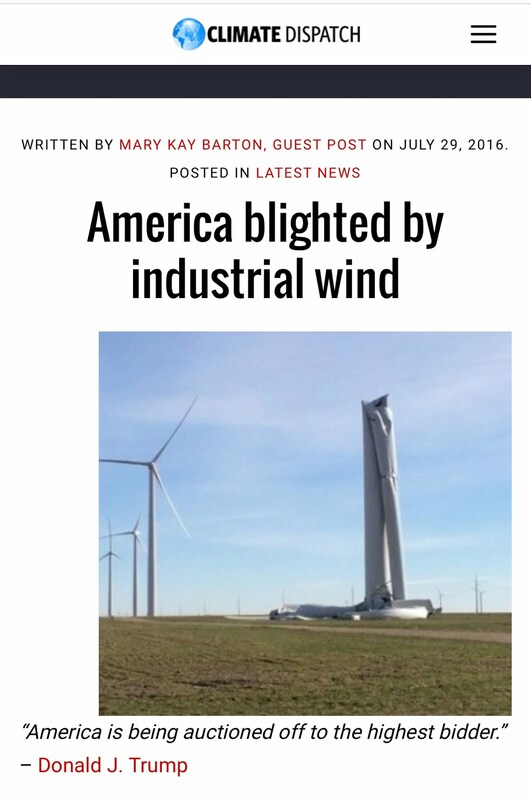 Yet, this $1.6 billion of stimulus money only created a "bird killing field" and a whopping 1000 construction jobs, with only 86 permanent jobs –– and very little green power. And now these mega-rich companies, stakeholders and investors want over $500 million more of taxpayer money. Enter in NRG Energy, another huge energy corporation that I mentioned in the beginning of this post, that sometime in October 2010, during the time of the BrightSource DOE loan review process, “NRG became the lead investor ($300 million) in the Ivanpah solar project of the 392 MW Ivanpah project." 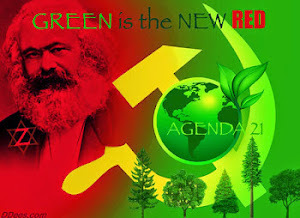 Needless to say, NRG has plenty of political access and influence, of which I documented in my March 2013 Green Corruption File entitled, Left-wing billionaire George Soros: Obama’s "Agent of Green." Labeled by the Right as "the single most destructive leftist demagogue," there has been much said and written about the politically powerful George Soros. Along with his deep-rooted shadowy agenda, we know that Soros funds numerous left-wing organizations, including radical environmentalism groups like the Tides Foundation. 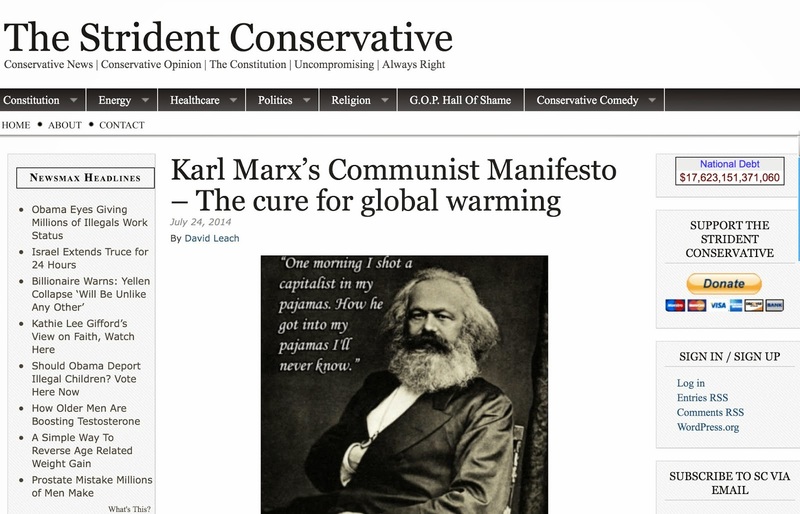 Most identified are the “anti-Fox” outlet Media Matters, the extremist Moveon.org as well as Obama’s left arm, Center for American Progress (CAP), the dark, driving force behind the president’s massive green energy scheme. 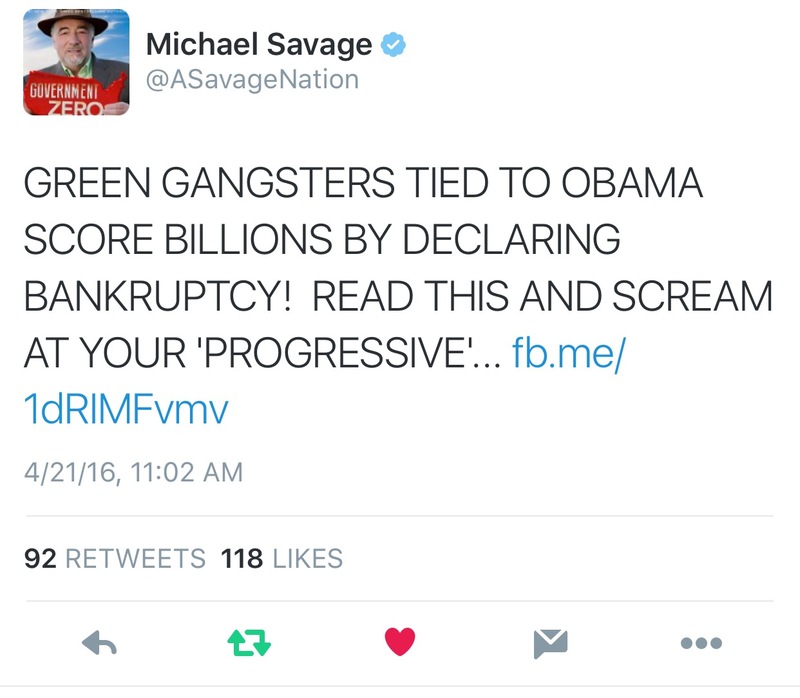 True to Soros' nature, despite the massive strain on our economy, he’s cashing in at the Green Bank of Obama. Just after the release of Peter Schweizer’s blockbuster 2011 bestseller, one of the most damning revelations featured in Throw Them All Out aired on Stephen K. Bannon's Victory Sessions –– in an interview that starred Schweizer and Wynton Hall of Breitbart.com. Billionaire George Soros gave advice and direction on how President Obama should allocate so-called “stimulus” money in a series of regular private meetings and consultations with White House senior advisers even as Soros was making investments in areas affected by the stimulus program. Soros is one of numerous individuals and groups that had major influence over the trillion-dollar Recovery Act, which President Obama signed into law in February 2009 that was packed full of "clean-energy provisions" –– only to eventually cash in, along with their friends, on the tens of billions of green funds afterwards. 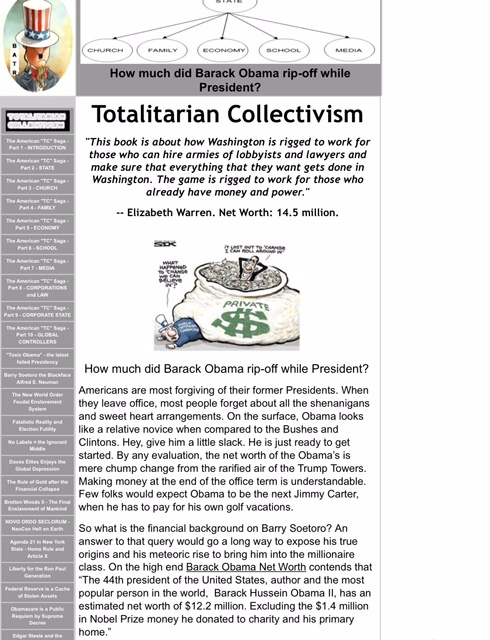 Schweizer revealed that "In the first quarter of 2009, Mr. Soros went on a stock-buying spree in companies that ultimately benefited from the federal stimulus," including twelve alternative energy and utility companies. 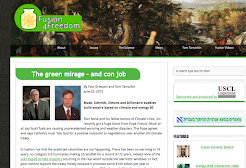 What's compelling is that after three weeks of intense research back in March of 2013, I discovered that through these twelve, and other timely investments in renewable energy, Soros' green tab exceeded $11 BILLION of stimulus money –– and "we, the taxpayer," footed the bill. Keep in mind that this tally is not factoring in the huge profit Soros is making off of these investments. One of those timely transactions was 500,000 shares of NRG Energy, noted Schweizer, and as of the latest data I could find (the end of December 2012), his shares were at 866,137, which according to Insider Monkey, was at that time, valued at $19,912,000. NRG Energy Inc., a Fortune 500 and S&P 500 Index company, owns and operates one of the country's largest and most diverse power generation portfolios that includes coal, nuclear, gas, wind and solar generation. Both NRG Energy and the firm's highly paid president and CEO since 2003 (and stock owner) David Crane has been aggressively pushing clean energy, whereas Mark Gunther of GreenBiz.com in 2011 shed some light: "[Crane] is passionate about the climate crisis –– he was active in USCAP, the failed big biz-big green coalition that lobbied for federal regulation of greenhouse gases." Crane was referring to how NRG and its partners secured $5.2 billion in federal loan guarantees for four large solar projects, including Ivanpah –– plus hundreds of millions in other subsidies. 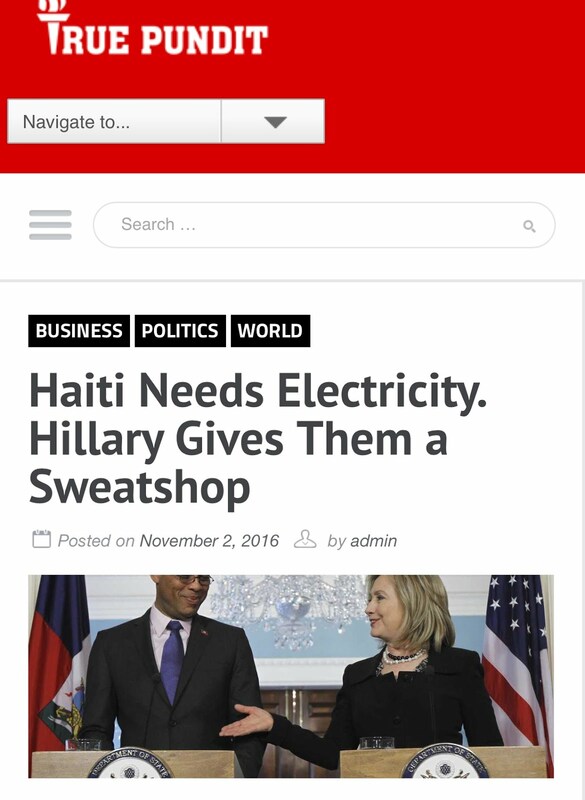 While Crane is a friend of the Clintons, which is one reason why, in September 2010, NRG made a $1 million contribution through the Clinton Global Initiative to deliver solar power to Haiti. Crane did in fact place his bet on Hillary Clinton during her 2008 run for the presidency, but later, and along with other NRG executives, sided with then-Senator Obama. In fact, as documented by Center for Responsive Politics, since 2002, NRG Energy has donated to both political parties, primarily to Republicans until 2008, when their giving shifted dramatically to blue. 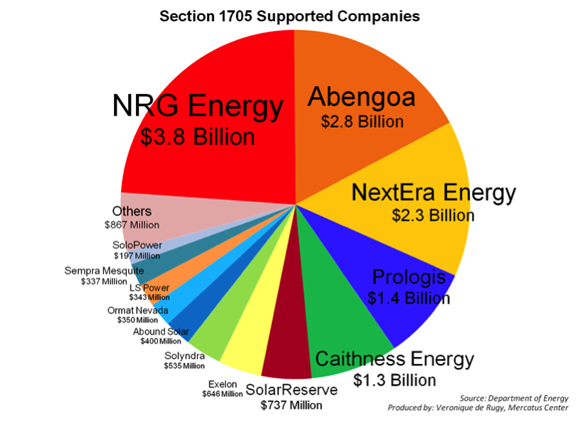 NRG Energy continued that trend in 2010 and 2014, and it seem that in 2012, they gave to both parties equally. 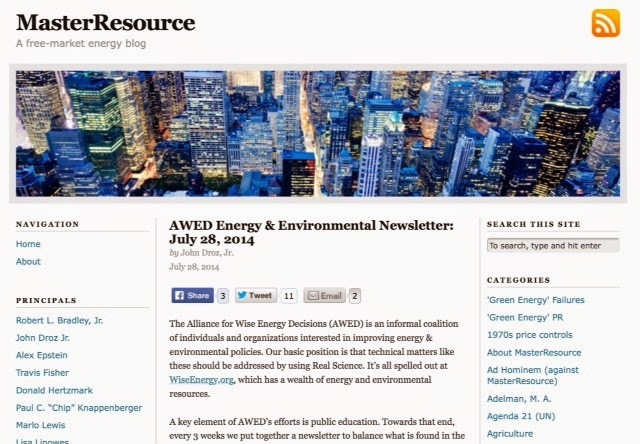 In my Soros File, you'll find additional NRG Energy executives and their Democrat cronies, as well as the fact that their subsidiaries have snagged huge amounts of clean-energy funds from the Obama administration –– including the fact that NRG companies have already benefited from the 1603 grant program, which as mentioned at the beginning of this post, was created under the 2009-Recovery Act "to support the deployment of renewable energy resources." Now, NRG wants to tap into the 1603 stimulus program again in order to salvage their $1.6 billion DOE loan for their Ivanpah Solar Project, so, we'll stay focused on the stimulus loans that they were awarded. In a very damaging in June 2012 report by Veronique de Rugy (mentioned earlier), which included her testimony before the House Committee on Oversight and Government Reform, we see that "most of the money has gone to large and established companies rather than startups" –– NRG being the largest winner. 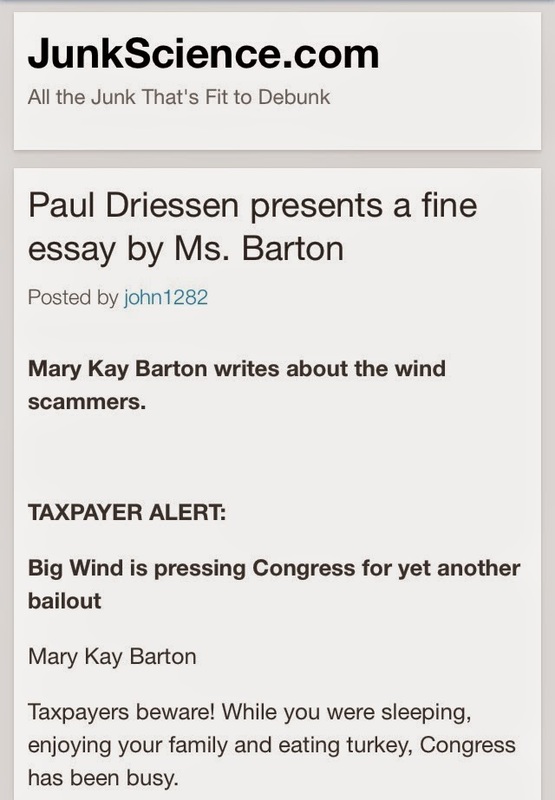 Ironically, when Ms. de Rugy presented her testimony before the House Committee on Oversight and Government Reform on June 19, 2012, Mr. Crane was there as well –– of which we find via his written statement, some startling numbers. 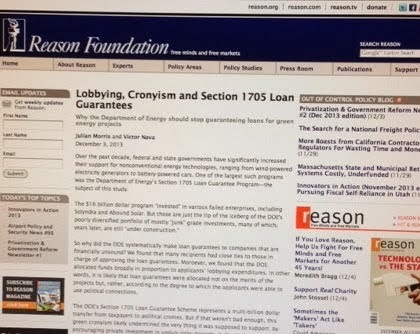 Besides the $5.2 billion in 1705 DOE loans for four projects, there are seven 1603 grants from the 2009-Recovery Act listed by Crane that went to NRG subsidiaries, totaling over $155 million. Plus, NRG had acquired Solar Power Partners (SPP) in November of 2011, and they too, prior to NRG's acquisition, snagged 16 of those 1603 tax-free stimulus grants with a grand total just over $29 million. 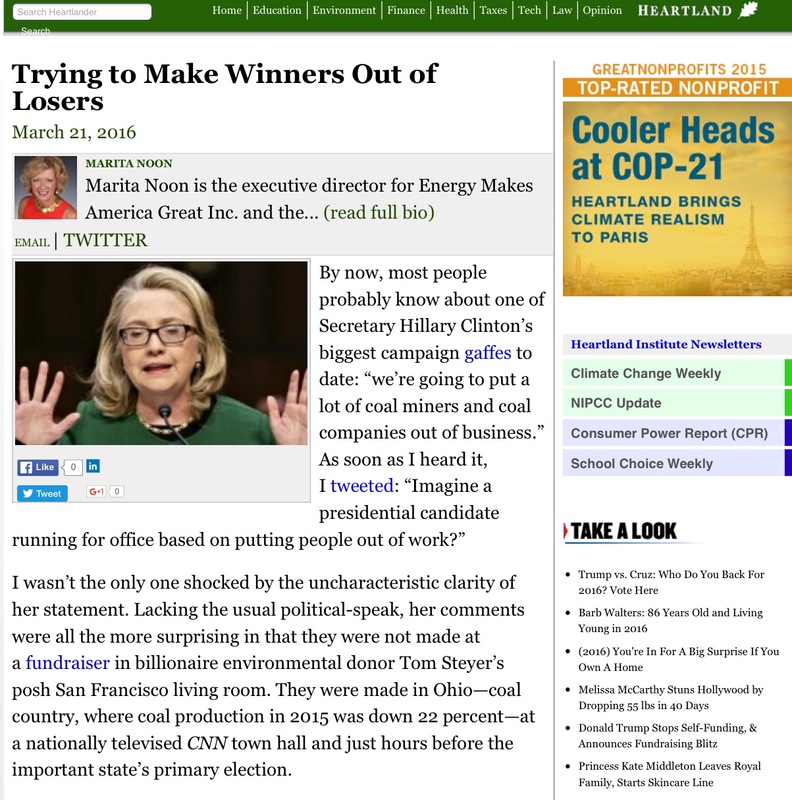 In the mix, there are millions in green funds that Crane missed. ...you received those solely on the merits of the project...No, nothing based on friends in high places and political connections? Jordon also asked if Mr. Crane had been to the White House. Crane replied, "many times," of which he admitted that "between the Bush White House and the Obama White House" it was 14 to 15 times," of which 6 to 7 of his visits were with the Obama White House. Considering NRG is also part of the $1.6 billion BrightSource DOE deal, Jordon lastly brought up the March 7, 2011 email exchange between CEO of BrightSource John Woolard and Jonathan Silver, the former Executive Director of the DOE's Loan Program Office –– again, both profiled earlier. Crane said he "knew nothing!" Crane's testimony did confirm at least one of those meetings, because old White House visitor logs reveal that NRG's Jason Few (husband to a 2012 campaign bundler for Obama), along with NRG chief executive David Crane, met with White House official Valerie Jarrett in the West Wing on December 7, 2010. This Jarrett meeting coincides with the 10/31/12 House Oversight EMAILS, which we've been reporting on ever since their release. These emails also reveal that contrary to testimony and statements by the president, DOE and White House officials, President Obama and the White House were actively involved in pressuring and approving these loans. In this particular set, dated from November 16, 2010 to December 6, 2010, the parties were James McCrea (Loan Program Office Credit Advisor) and Jonathan Silver (former Executive Director of the DOE's Loan Program Office) as well as Matthew Winters (Department of Energy Policy Advisor), Julie Stewart (contractor for the Loan Programs Office), Roger McDaniel (contractor for the DOE), and a few others in the mix. I have heard nothing from Judd today and do not know whether we are on a fast track process or not for Agua Caliente. Kelly is asking that we set up a briefing but it is my understanding from the part of the WH meeting that I was in that fast track would not include any briefings. I do not want to set a briefing and in doing so inadvertently concede that this is not fast track. Hence, I am holding off on responding to OMB. By December 1, 2010, they were discussing STP (South Texas Project Units 3 and 4 in Texas, an NRG Energy and CPS Energy Joint-Undertaking), of which they were considered for a 1703 loan guarantee. 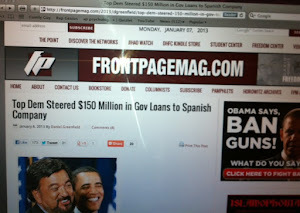 And we know that out of 19 applications, at that time only two large loans out of that program were approved. Jim...we understand that David Crane of NRG is coming in to meet with Jonathan regarding STP next Monday. I heard at dinner that Terry had informed Paul this evening that Crane is also trying to see the VP. 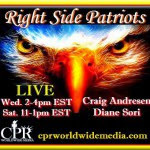 Jim/Terri- Valerie Jarrett is meeting with the CEO's of NRG and Reliant tomorrow, and they are looking for a short background/update on the STP 3&4 project. Based on Terry's memo to Jonathan, and our brief conversation this morning, I've drafted the following. One other thing to note is that NRG is on a number of the transactions that will be adversely affected if resources have to be diverted to STP 3&4. Now it's hard to say how that Jason Few, David Crane and Valerie Jarrett meeting went on December 7, 2010, but we do know that while the STP loan may have been crushed, NRG received their fair share of DOE loans, of which details can be found in my March 2013 Green Corruption File. 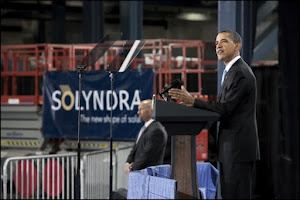 In getting back to NRG's $5.2 billion in approved DOE loans –– the number one recipient of most the 1705 stimulus loans, we must reiterate that they are also part of the $3 billion First Solar Swindle –– money laundering for Obama cronies that is. There are additional political heavyweights that have been hovering over this deal, starting with Bechtel, which is another big corporation with their hand in the stimulus, which constructed the Ivanpah project. While Bechtel National (Bethal Group) –– with ties to Washington DC –– has given to both political parties quite evenly over the years, they did contribute to Barack Obama both in 2008 and 2012. 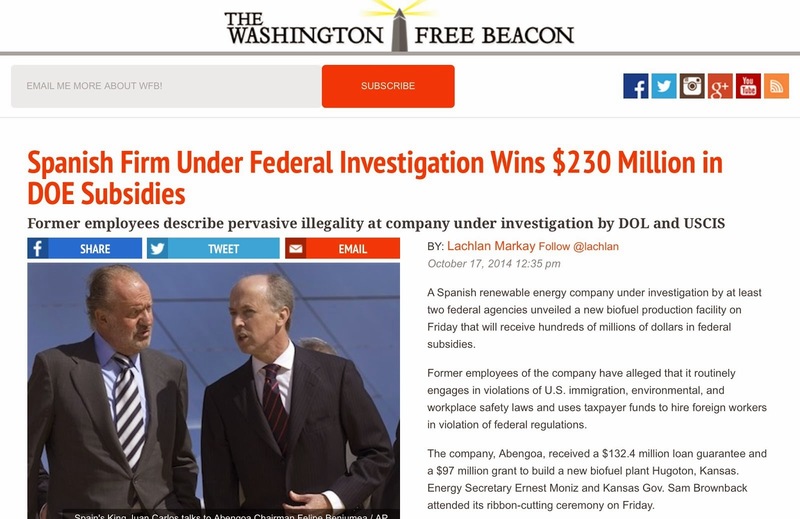 Due to their influence over the in the stimulus package that included the $6 Billion Democrat Earmark, I covered Bethal Group in my June 2013 file entitled, Nuclear Crimes and Misdemeanors. 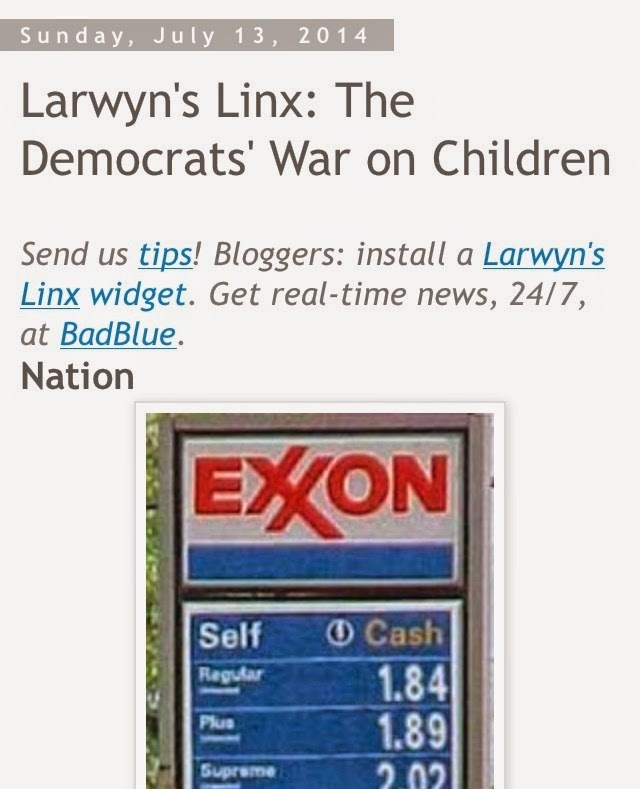 I reminded my readers that Citigroup –– labeled a “heavy hitter” by Center for Responsive Politics –– in 2012 contributed to both President Obama and Mitt Romney, and "contributions from CITIGROUP PAC-FEDERAL" went to both parties: 47% to Democrats, 53% to Republicans. Also those among the 2012 Obama bundlers were employees of big-name firms including Goldman Sachs, Morgan Stanley, Barclays and Citigroup. Yet, in 2008, it was primarily a "blue year" with 63% to Democrats and 37% to Republicans, and Citigroup made it as the #7 top donor to candidate Obama with a few executives lined up as campaign bundlers. 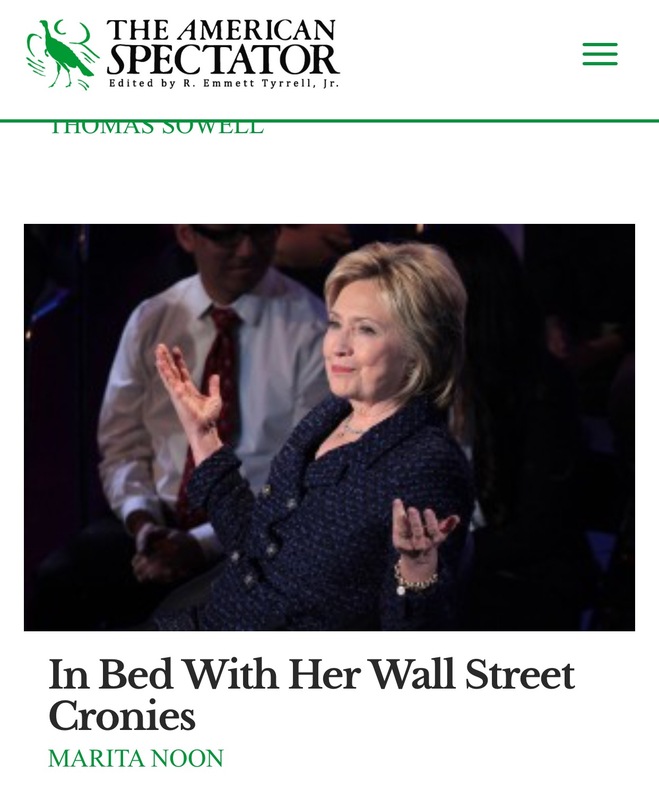 I also emphasized the infiltration of so many Citigroup executives –– and Goldman Sachs for that matter –– inside the Obama administration, and how they were even shaping his economic policy. 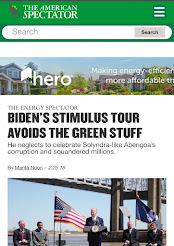 Then I unleashed their connections to "the green": Other than SolarReserve, SolarCity and Alta Wind, I found Citi’s green stash –– an alternative energy portfolio that lists about 37 transactions (plus SolarReserve = 38) foreign and here in the United States. Citi's roles range from investor, advisor, arranger, to joint bookrunner, and so on –– and in some case a multitude of these. While Citi is proud of their being the "largest market share (28 percent) of the DOE energy 1703/1705 Loan Guarantee program financing," there is much more. After careful analysis of this year-old green investment documentation, I found that 58 percent of their "clients" have received government subsidies, the majority from the 2009-Recovery Act, totaling approximately $16 billion of taxpayer money. This included Citigroup's part in the BrightSource deal as their "Ongoing –– $250mm IPO / Joint Bookrunner." 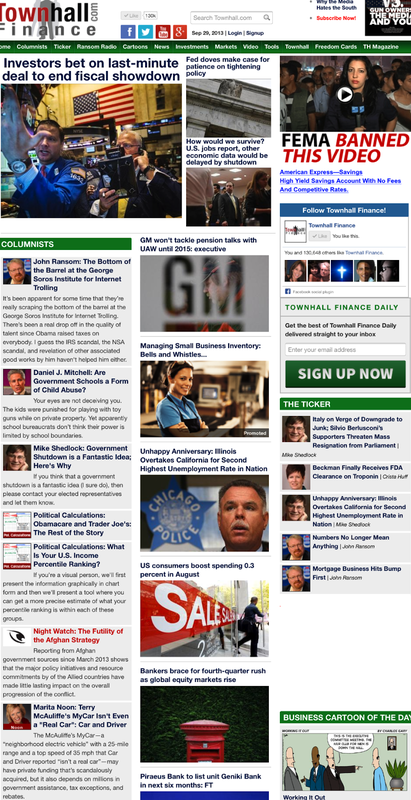 On April 11, 2011, the DOE announced the finalization of $1.6 billion in loan guarantees for BrightSource’s Ivanpah project, and just fifteen days later, Goldman, Citi, Deutsche stepped in: "US solar energy firm BrightSource Energy Inc said on Friday it had mandated Goldman Sachs (NYSE:GS), Deutsche Bank Securities and Citigroup (NYSE:C) as underwriters of its proposed initial public offering (IPO)." However, a year later, they canceled their IPO, and then-BrightSource CEO John Woolard told Gigaom.com that it was "because of the weak public markets, particularly for solar and greentech companies..." To date BrightSource Energy's IPO is still pending. Yet, we do know that Goldman has made equity investments in the solar developer BrightSource, which was reiterated in January 2014, when Renew Economy reported the following: "[Goldman] has also a substantial investment in BrightSource Energy," –– highlighting their Ivanpah solar power facility. Goldman Sachs on the other hand, was a top Obama donor in 2008, but we also know that two Goldman executives sat on Obama's 2008 Finance Committee and a slew of partners, executives and board members bundled for, and donated to Obama's 2008 campaign. Meanwhile, his administration has been infested with Goldmanites. Even though in 2012, Goldman Sachs turned their back on Mr. Obama in 2012, there were many executives and board members that helped him get reelected. 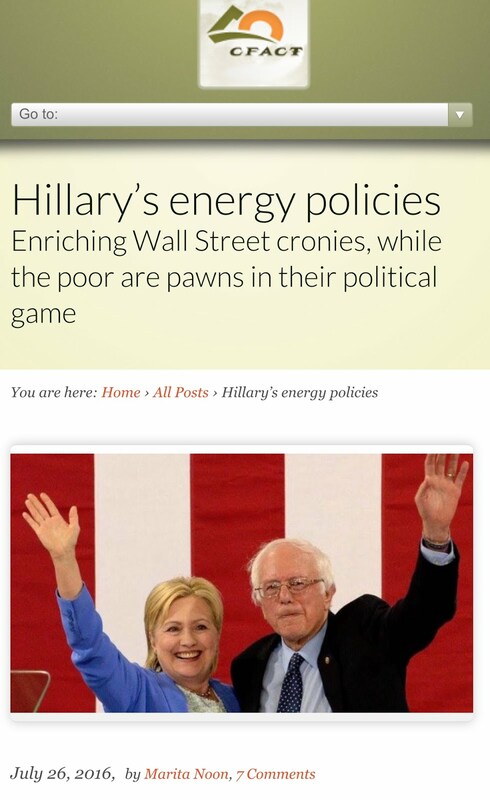 Considering that Goldman Sachs become a CAP donor as early as 2012, I unleashed most of their green corruption inside my March 2014 post: Podesta Power and Center for American Progress: The dark, driving force behind the president’s massive green energy scheme. In short: Needless to say, since 2010, I've been following Goldman and tracking how this Big Bank has been cashing in on the stimulus funds. 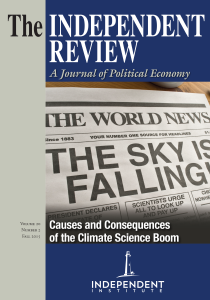 As my research developed, I found their DNA all over this green energy scheme, of which to date we can confirm that Goldman Sachs has an invested interest –– via various roles, and having entered the scene at different junctures (before, during and after taxpayer subsidies were awarded), in many projects and firms that received loans, grants and special tax breaks. 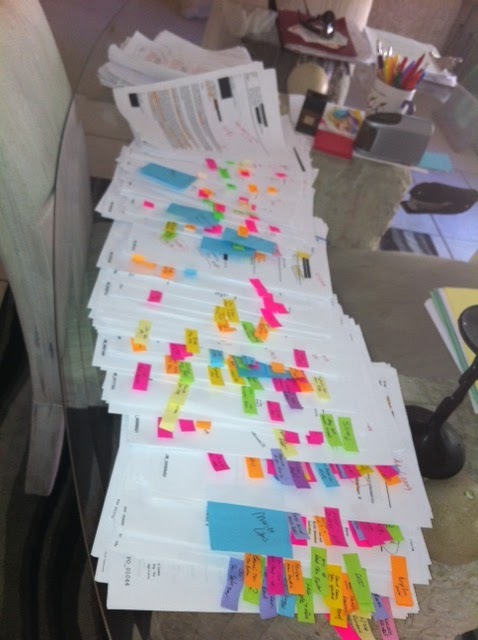 So far I've tracked at least 14 firms connecting Goldman to over $8.5 billion from the Green Bank of Obama, the majority from the 2009-Recovery Act. The sun may not be shining enough on the Ivanpah Solar Plant, but if not for a federal loan guarantee –– $1.6 billion of taxpayer money that is –– the $2.2-billion project would have never seen the light of day in the first place. And these superpower mega-rich companies that have billions on their balance sheets, along with their wealthy CEO's, investors, and shareholders have the nerve to expect $539 million of free taxpayer cash to help them pay off their $1.6 billion federal loan –– a loan that had already bailed out at least the ringleader, BrightSource Energy. Worse, is that because those behind this mega deal are Obama and Democrat cronies, this administration will most likely give it them. Yep, this is absolutely obscene! 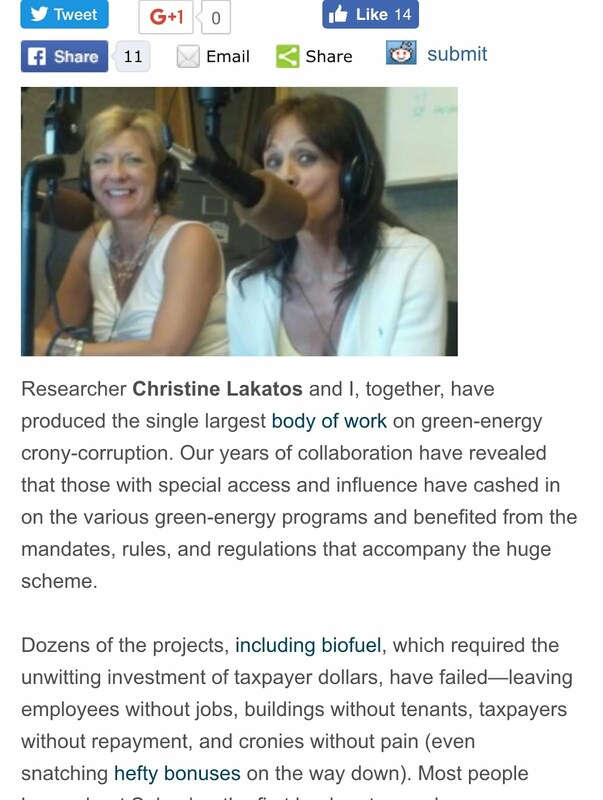 November 24, 2014: The David Madeira Show with Christine Lakatos on Green Corruption and solar power plants that don’t work.